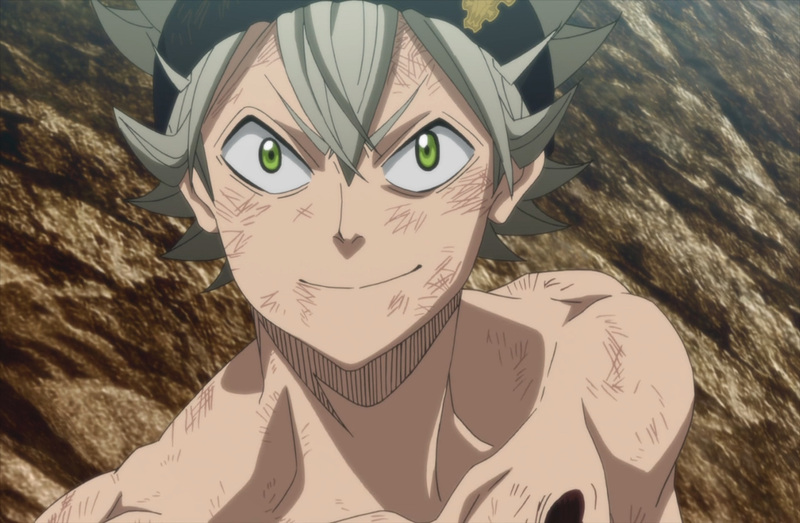 Unknown to Asta a power of his own was always there. 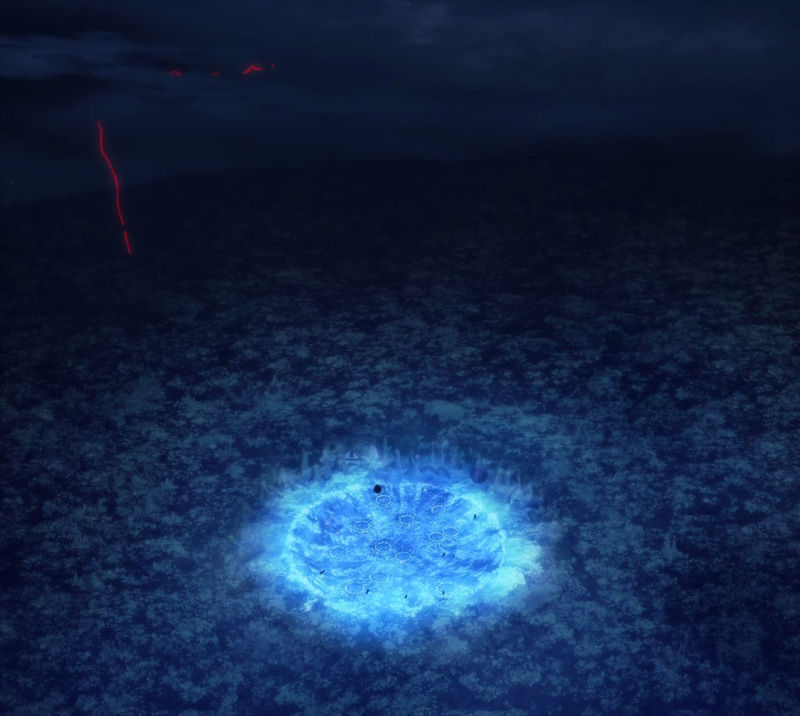 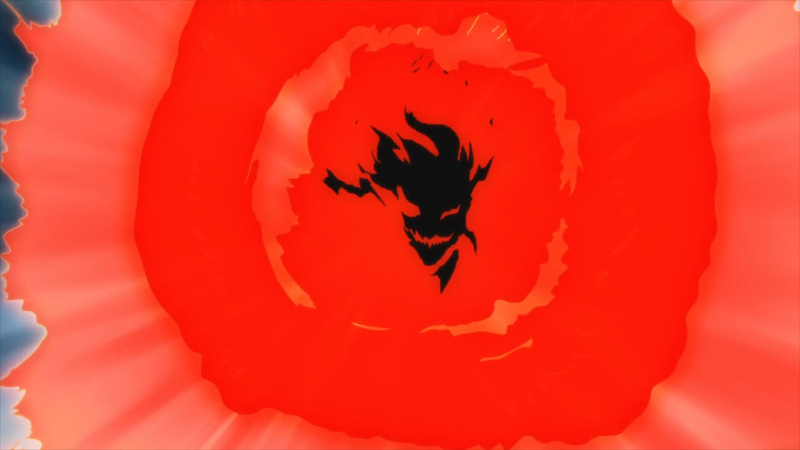 Ever since he obtained his grimoire this power has flowed threw him. 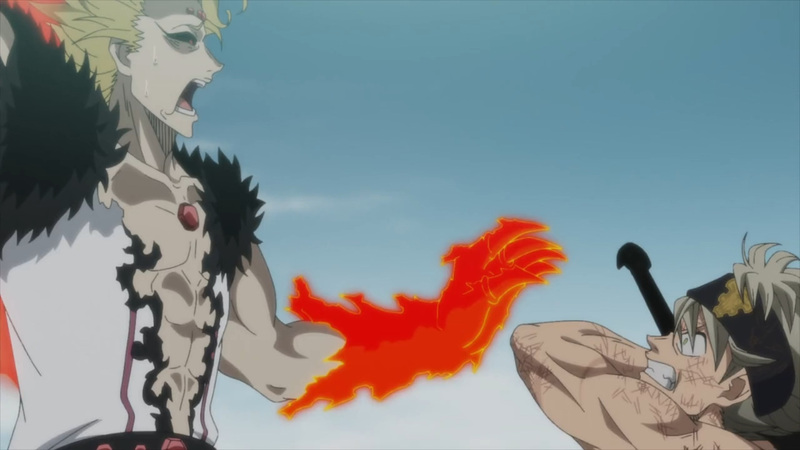 However, he was never able to fully bring out said power. 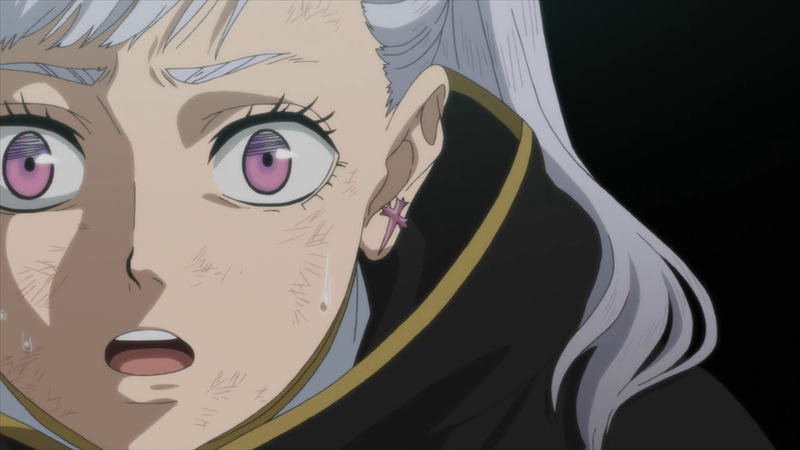 This would all change once he encountered the Queen of Witches. 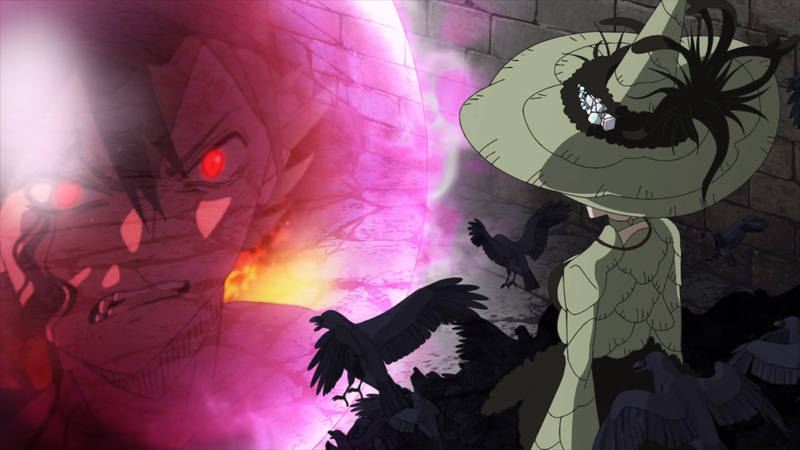 Her blood magic not only healed him, but also removed the limits of his anti-magic powers. 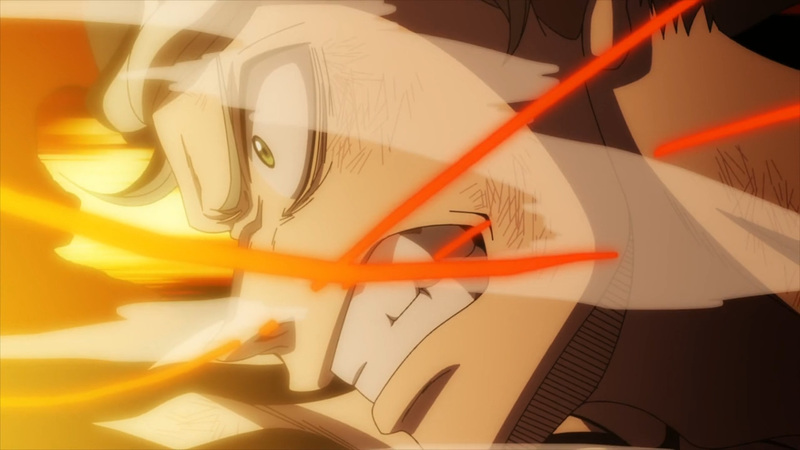 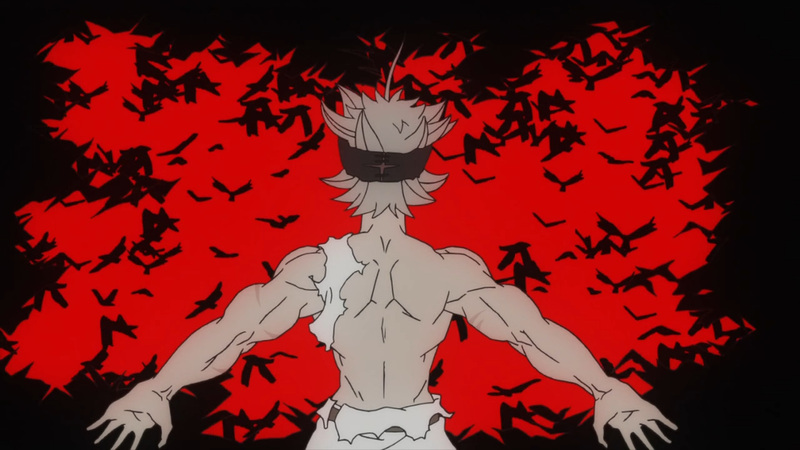 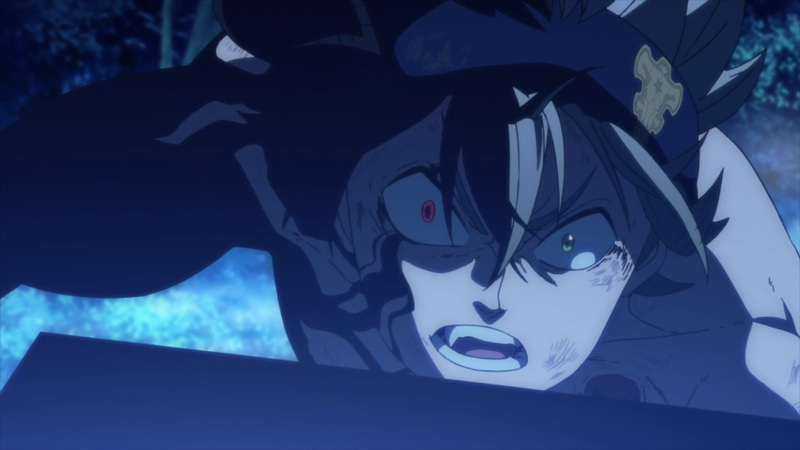 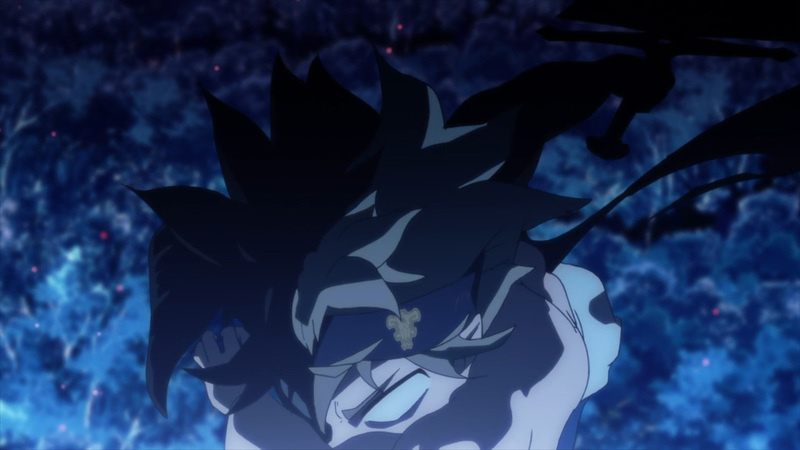 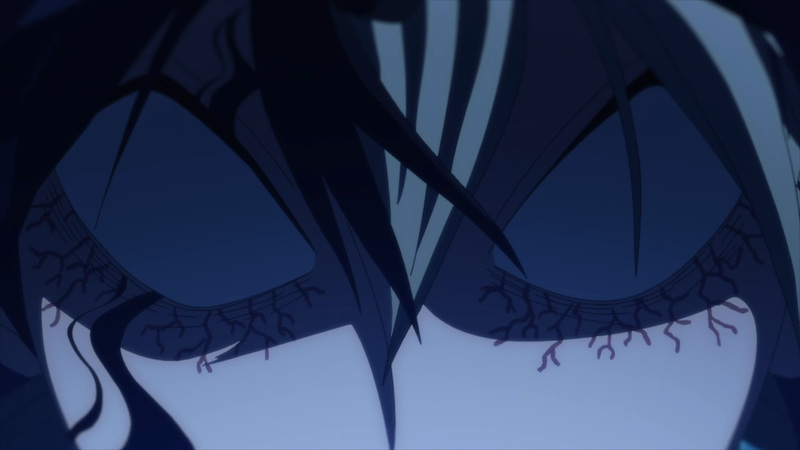 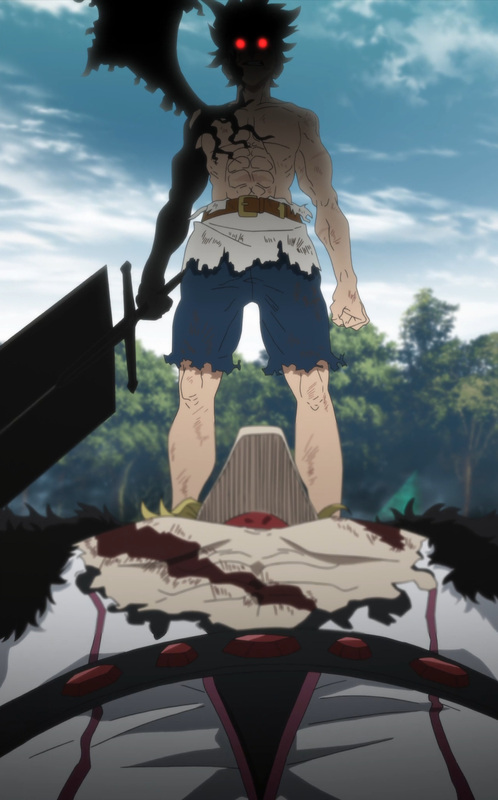 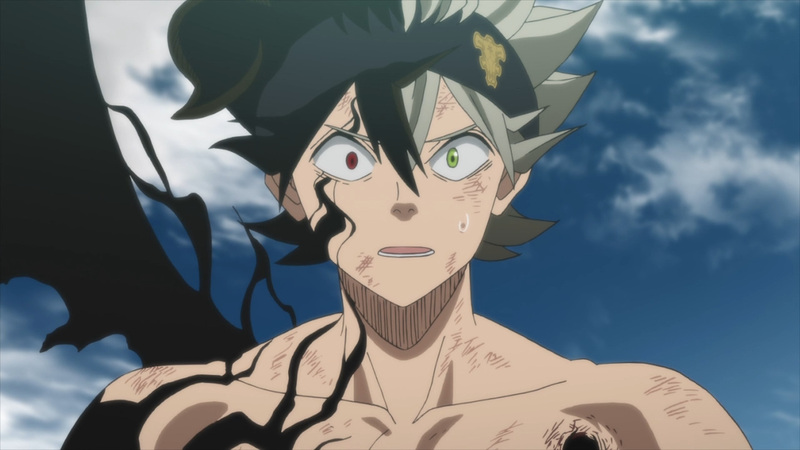 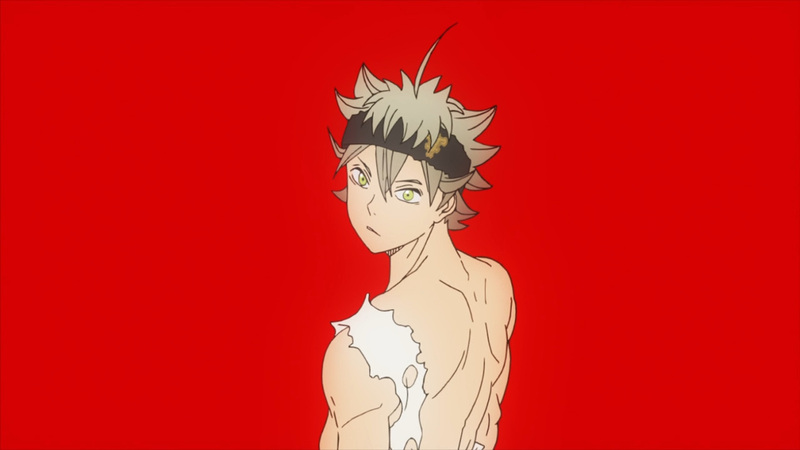 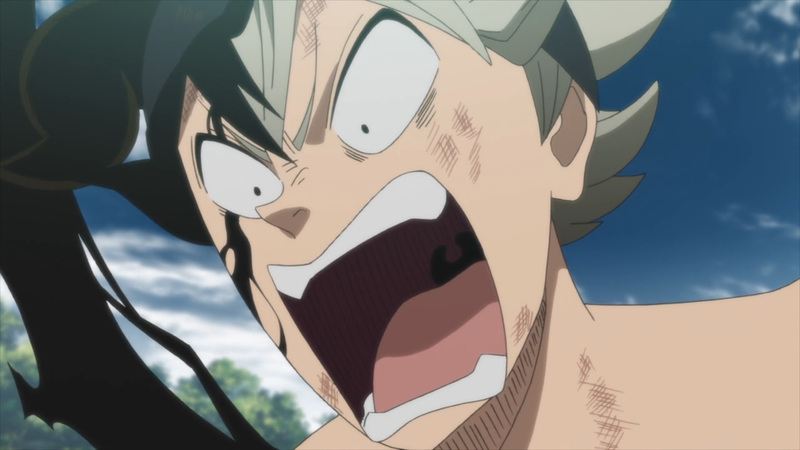 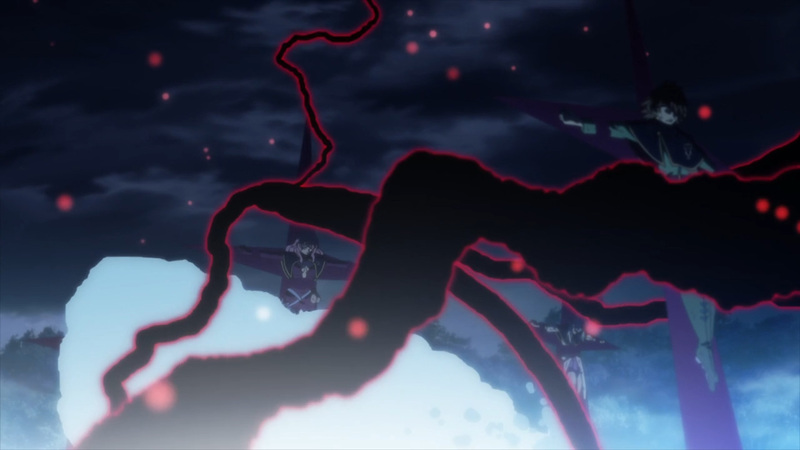 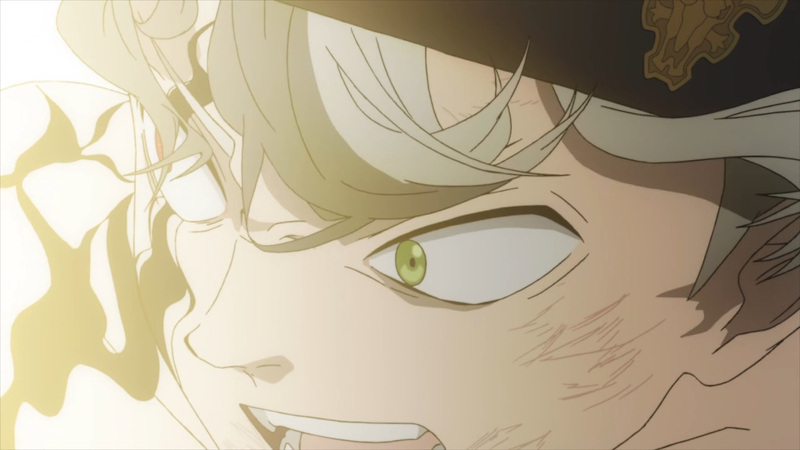 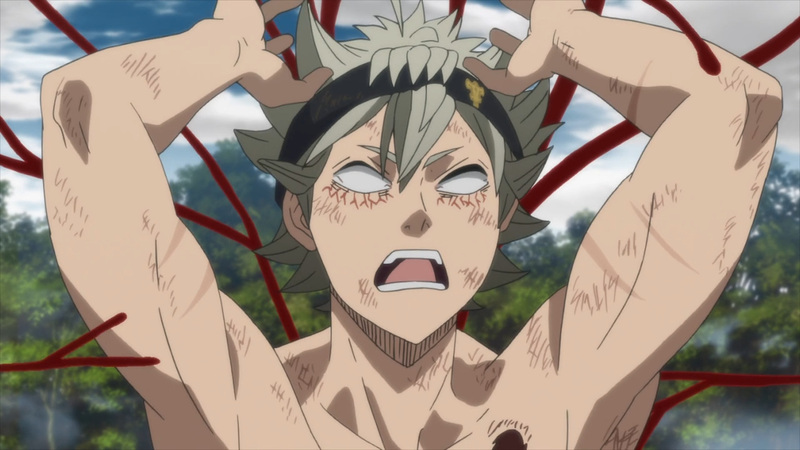 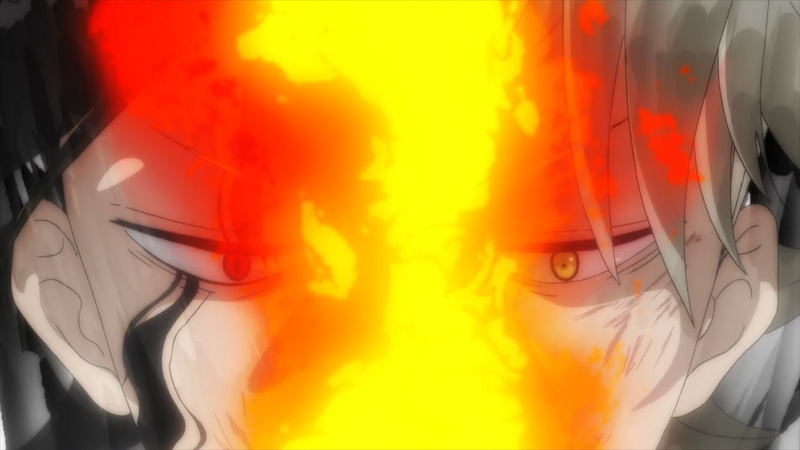 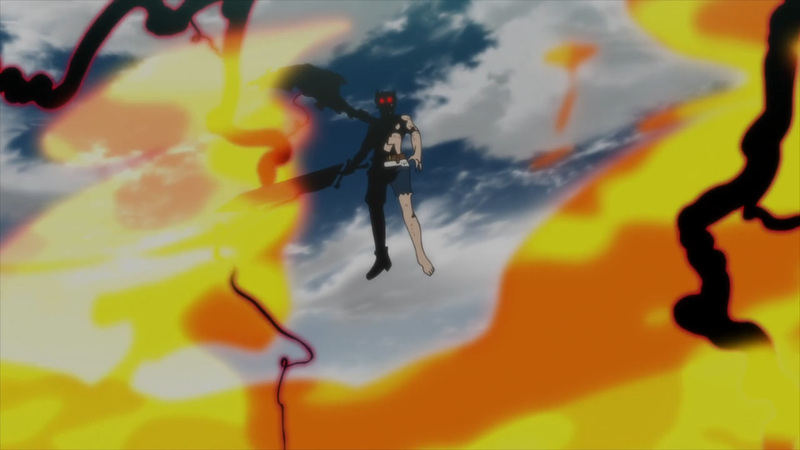 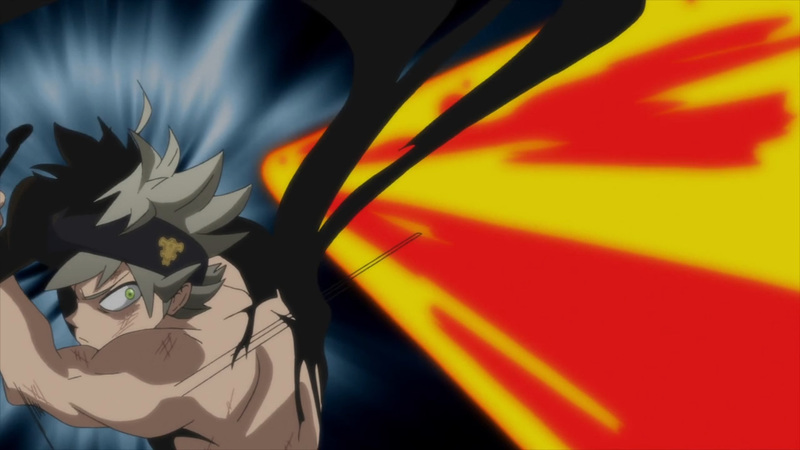 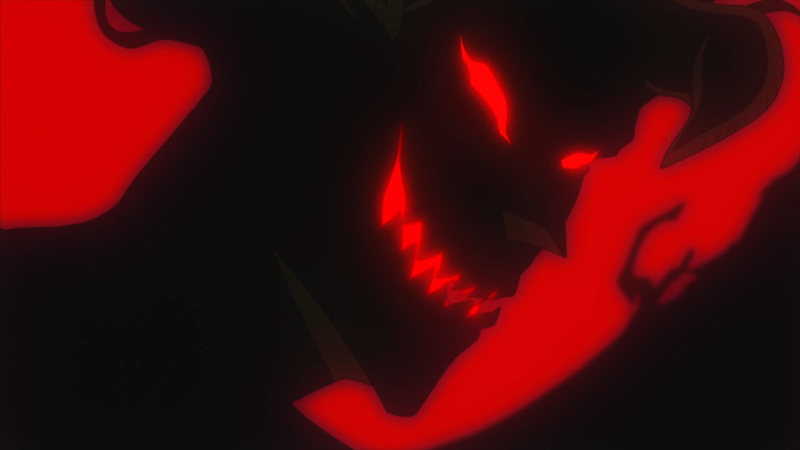 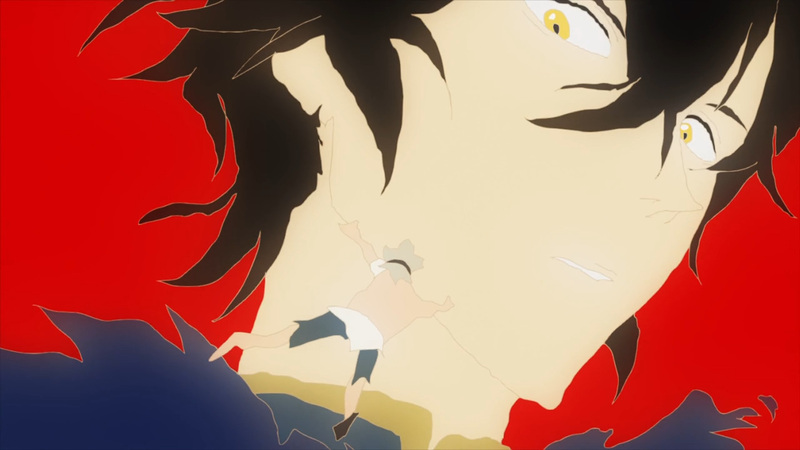 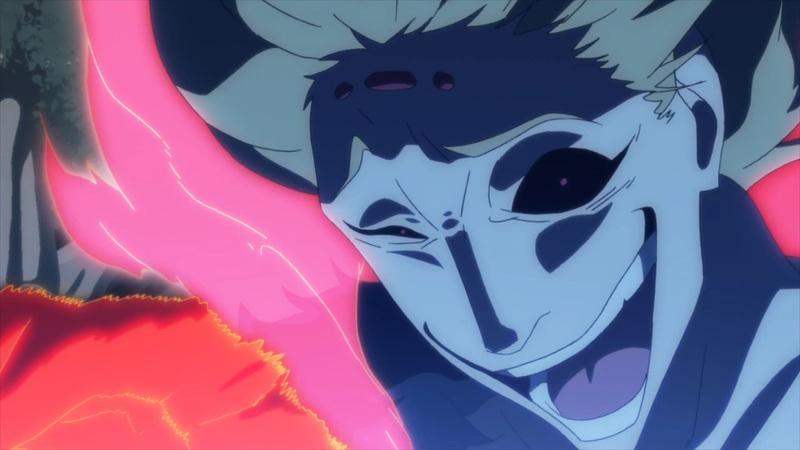 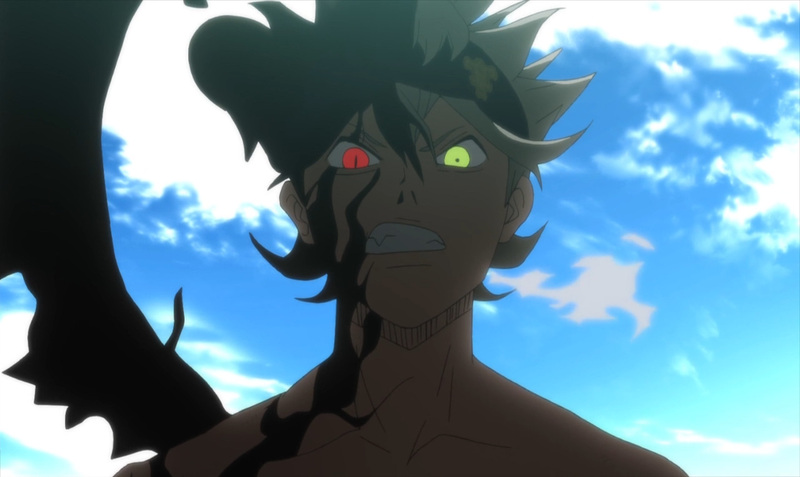 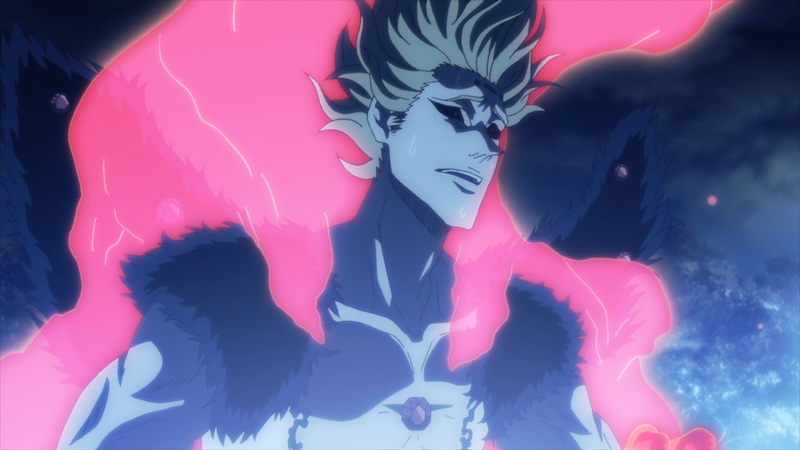 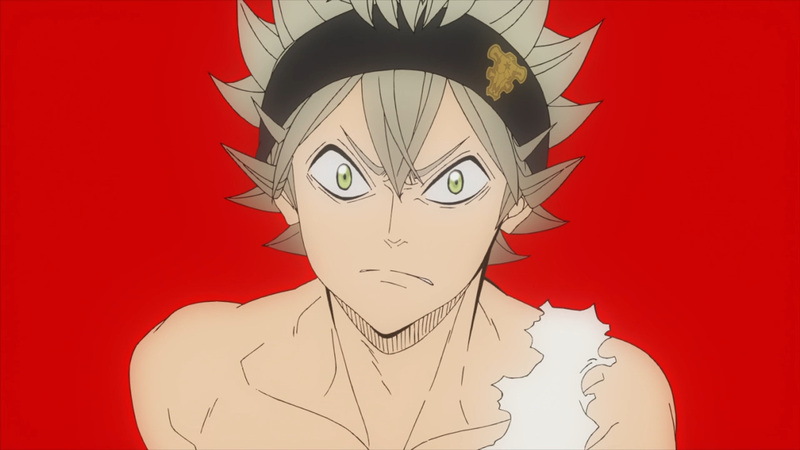 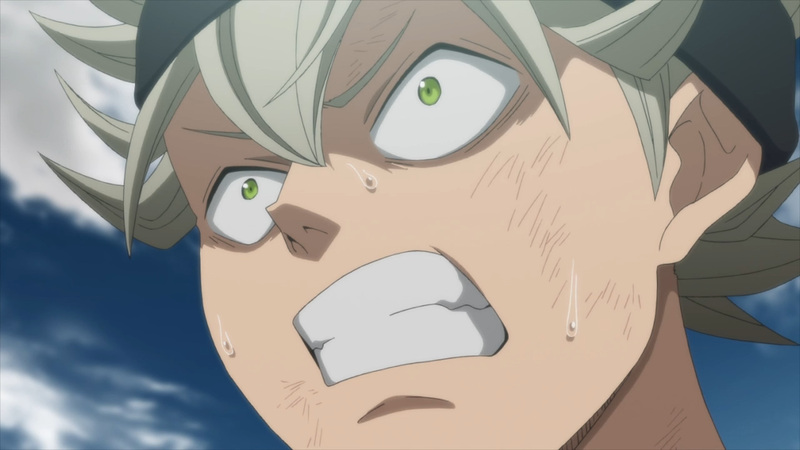 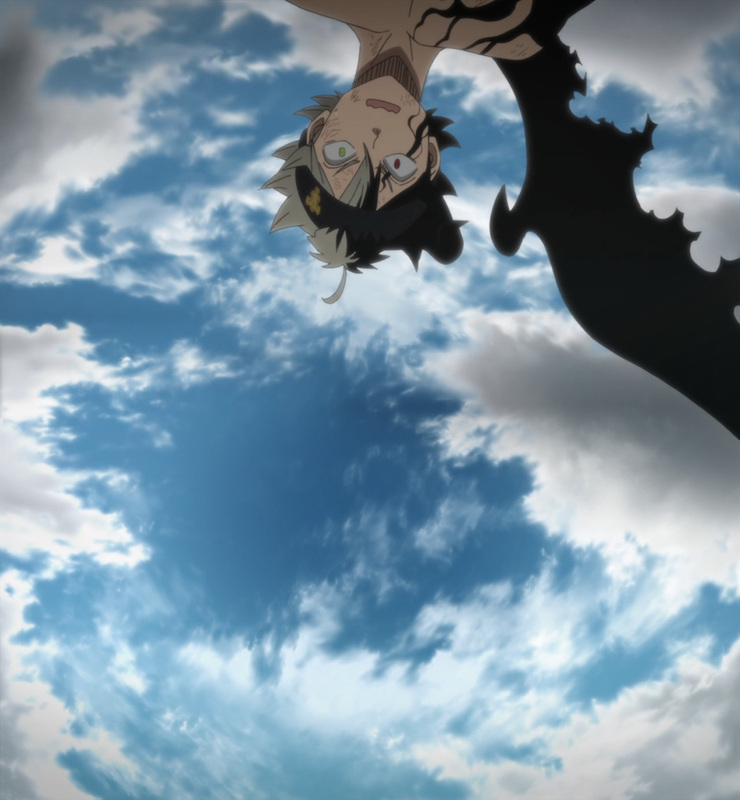 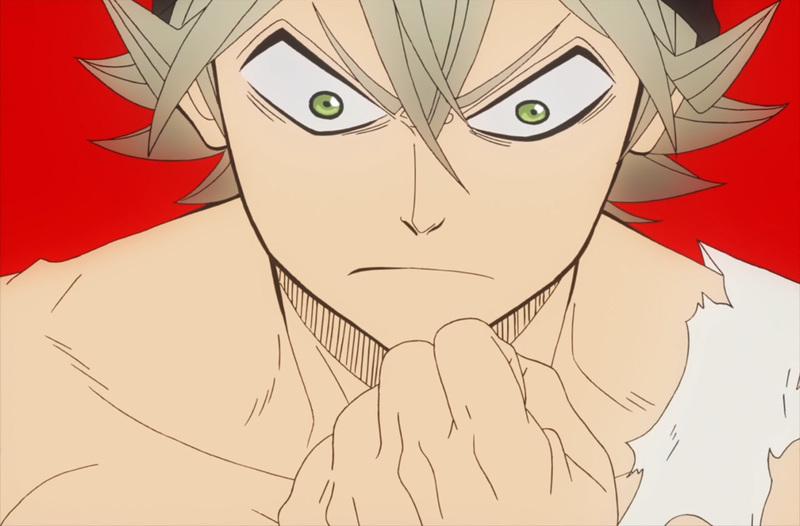 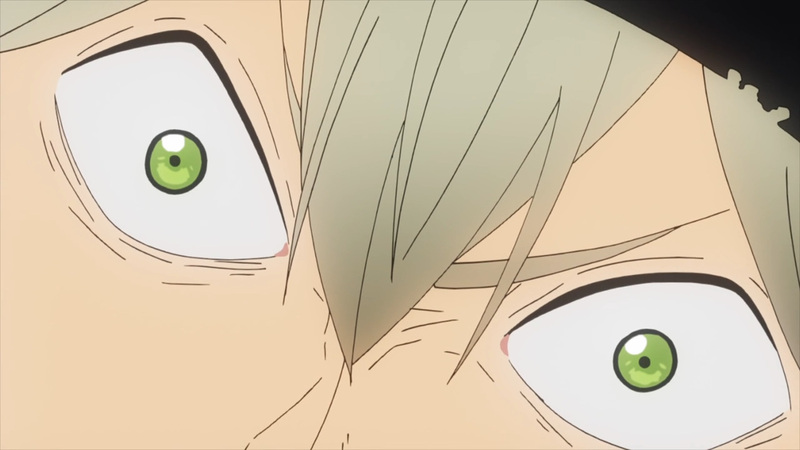 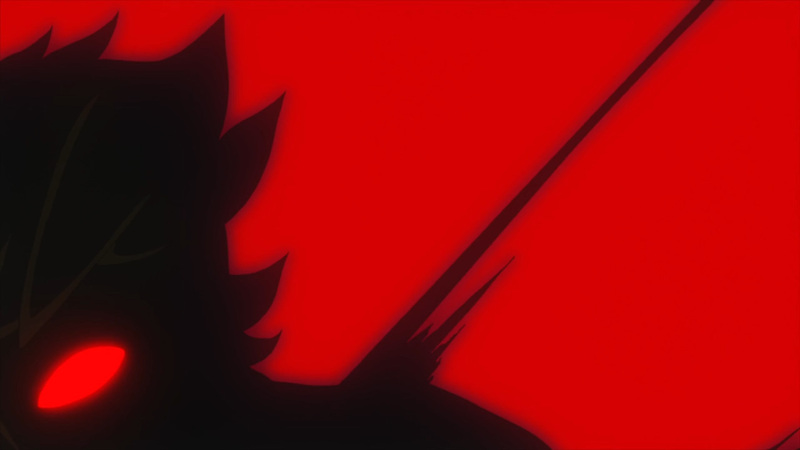 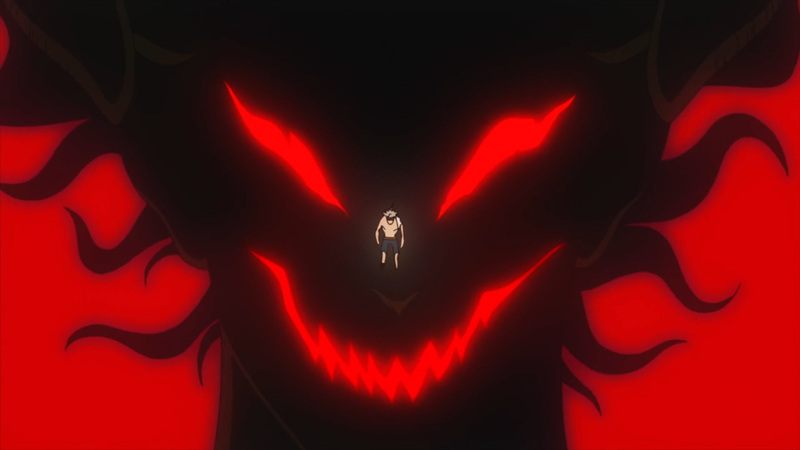 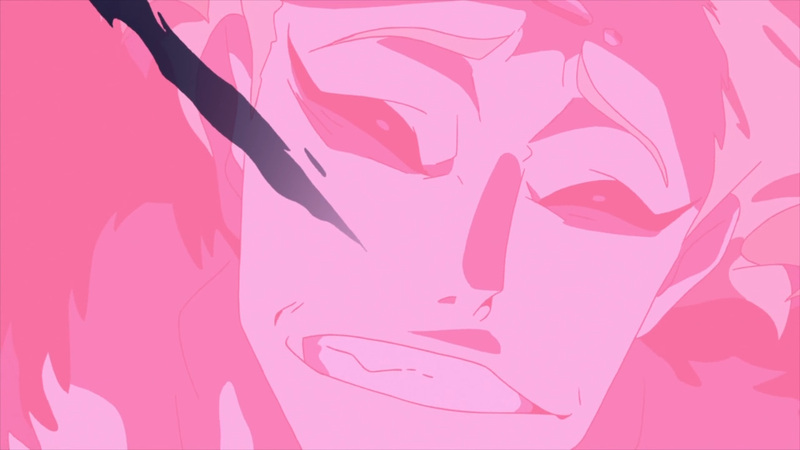 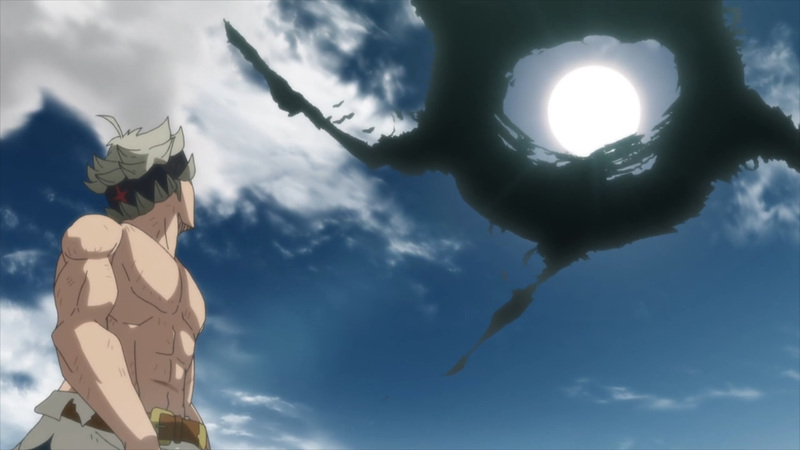 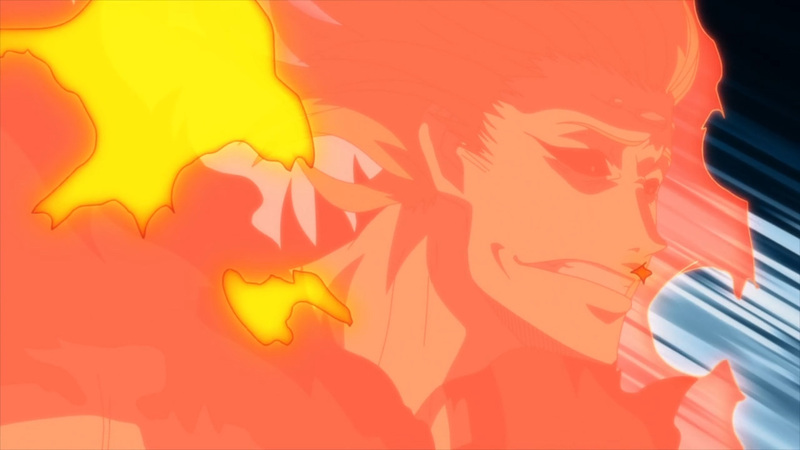 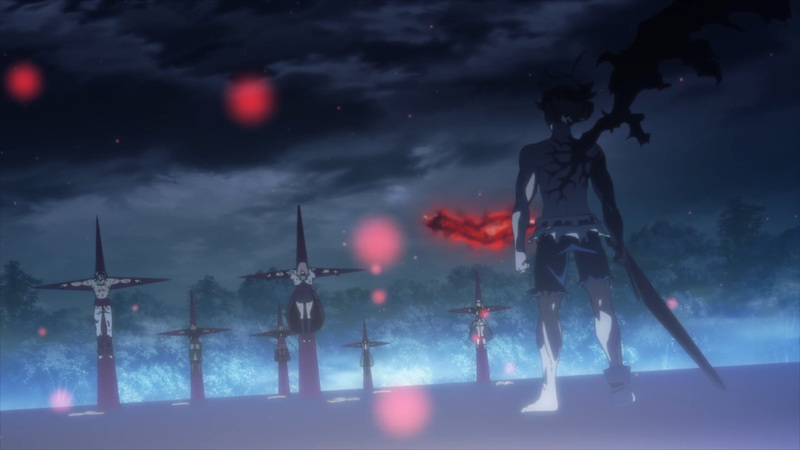 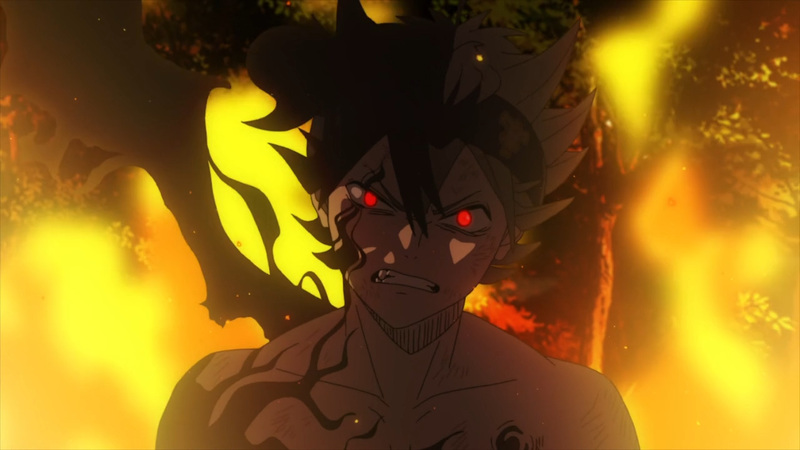 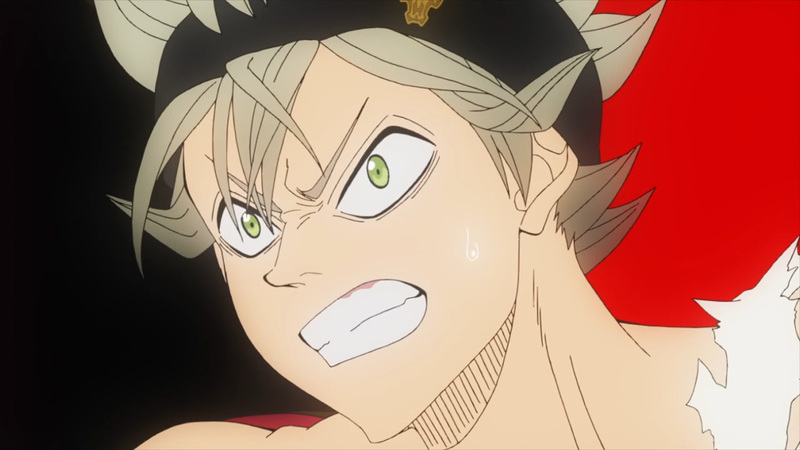 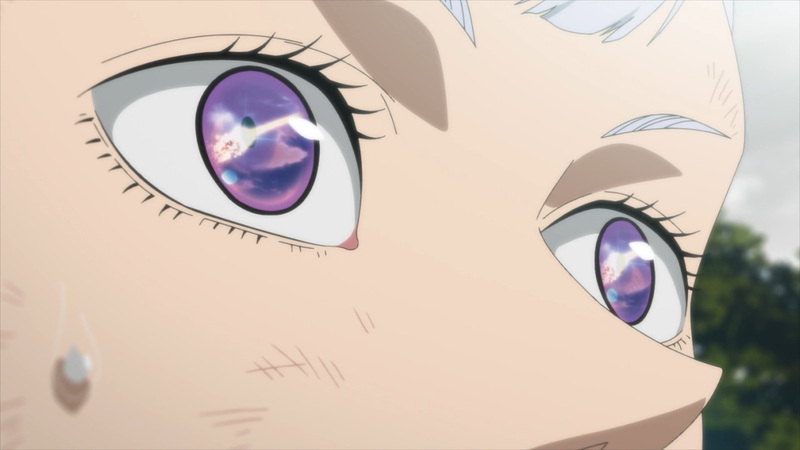 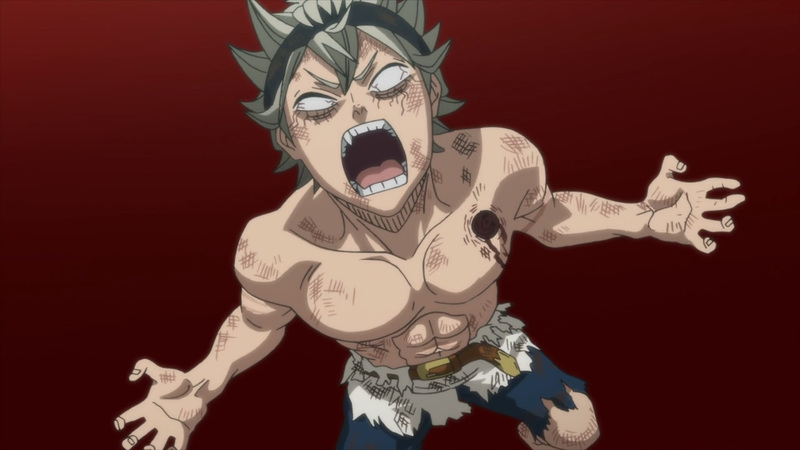 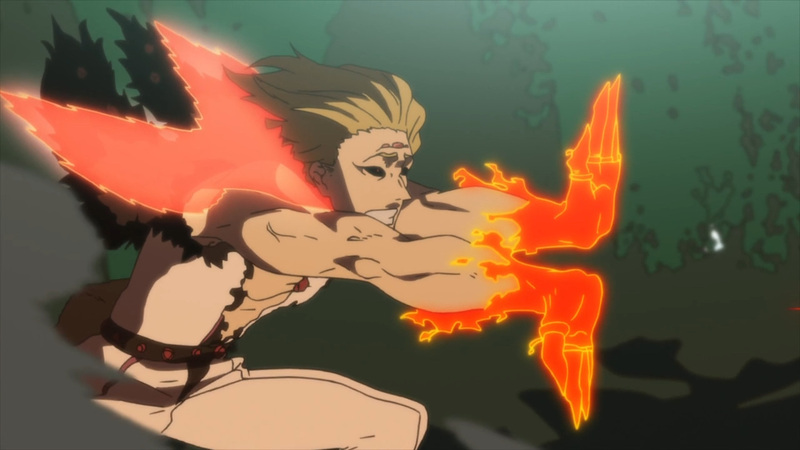 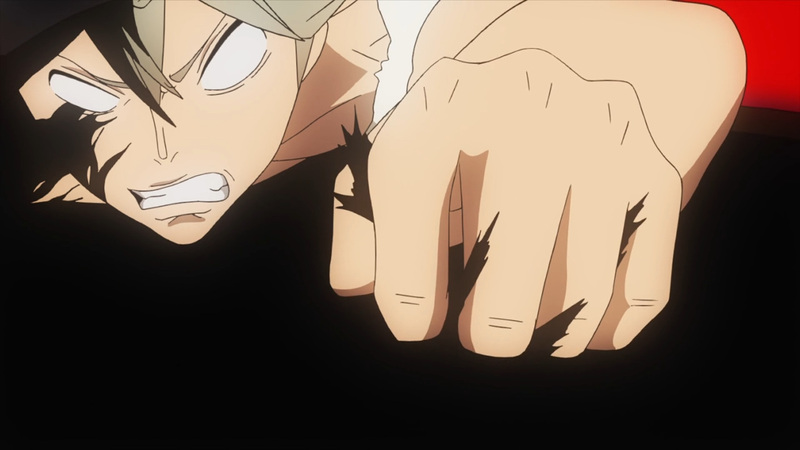 Asta’s power can now be fully realized, although power comes at a cost. 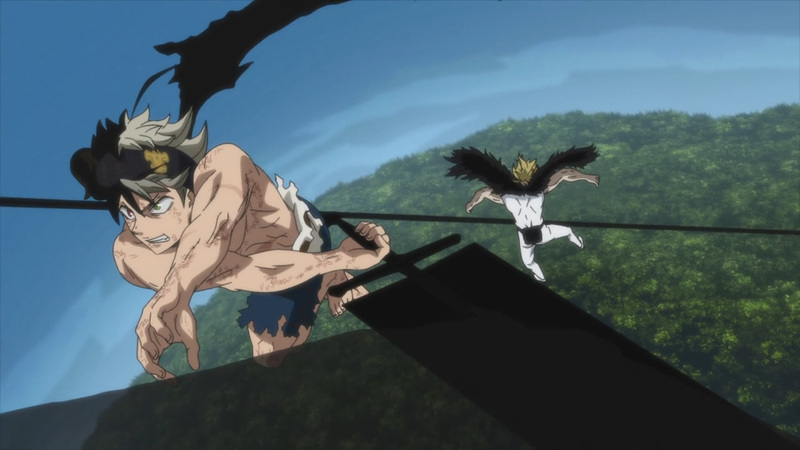 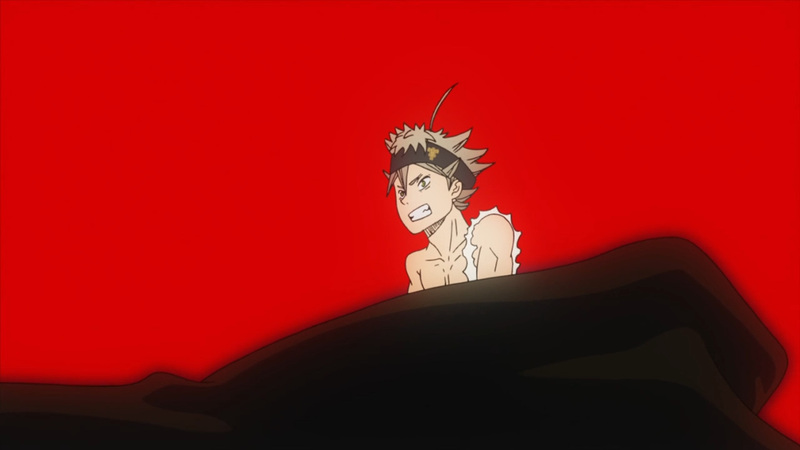 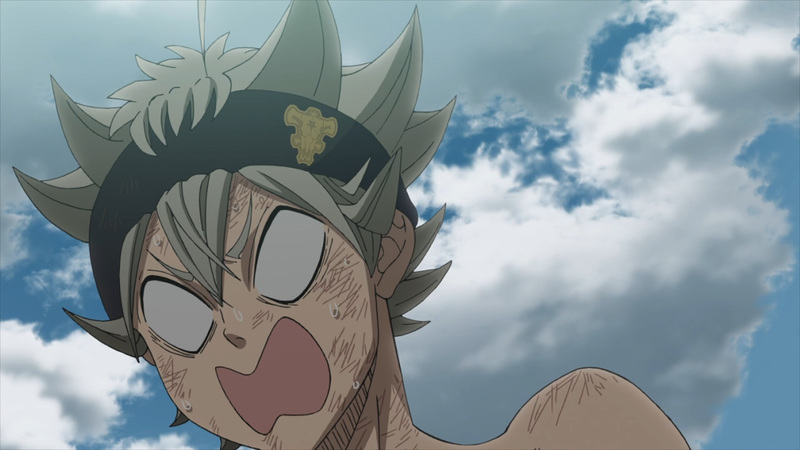 Fortunately, Asta won’t let this power overtake him. 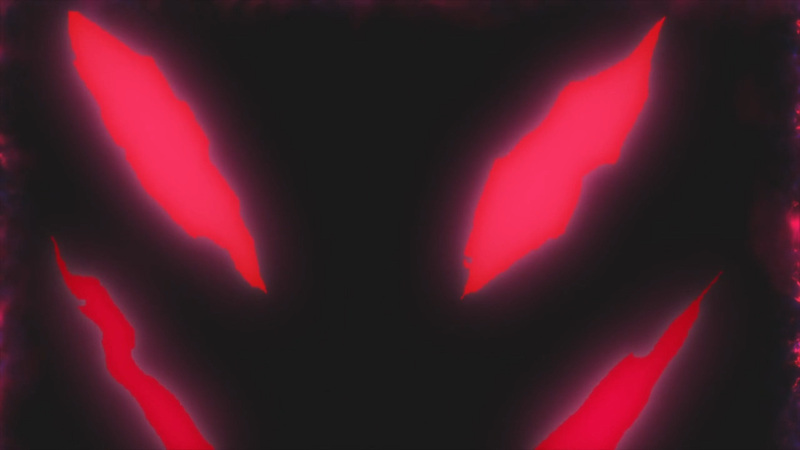 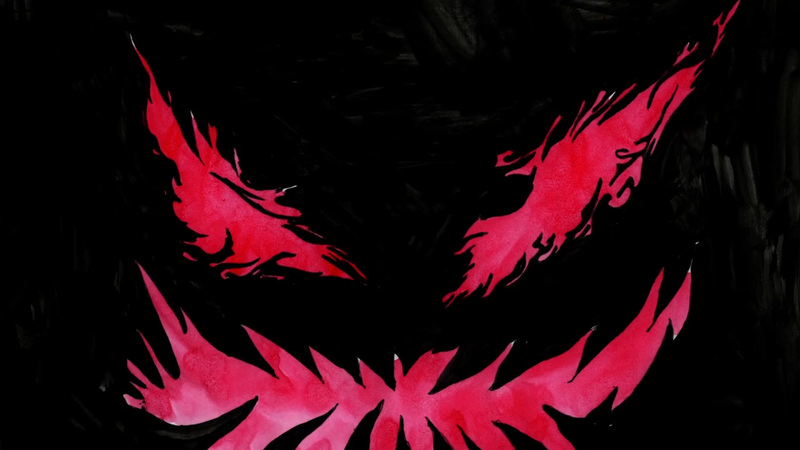 He’ll be in control of his new found form, and put an end to the one that stands before him. 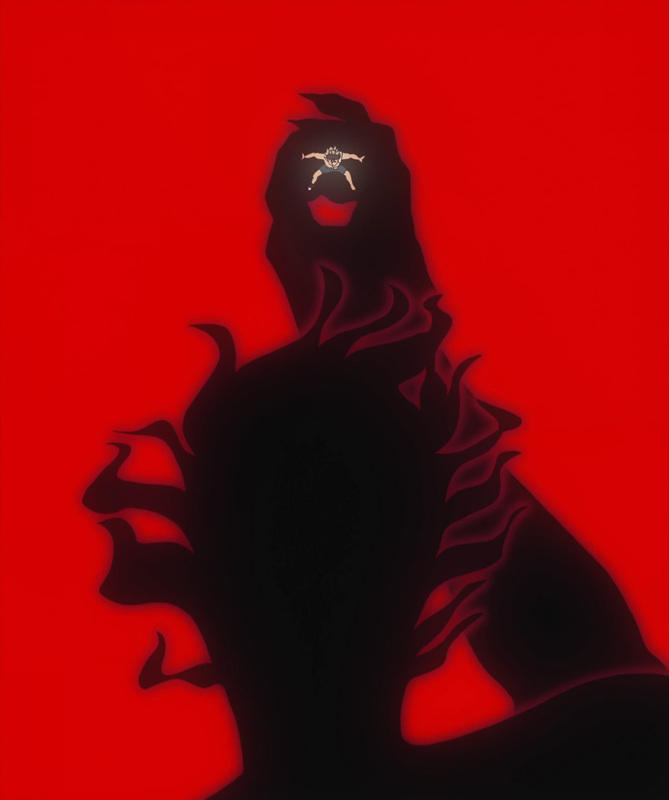 Ladros may have risen to a new level, yet he’ll be powerless in the face of this magic eater. 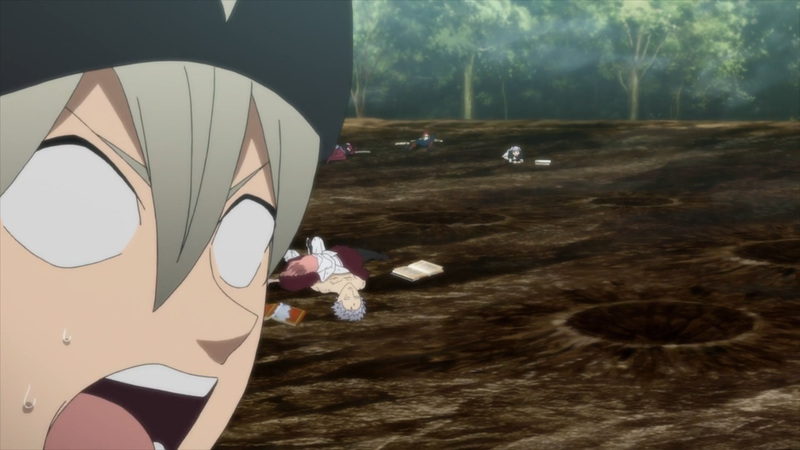 No magics shall escape today’s feast. 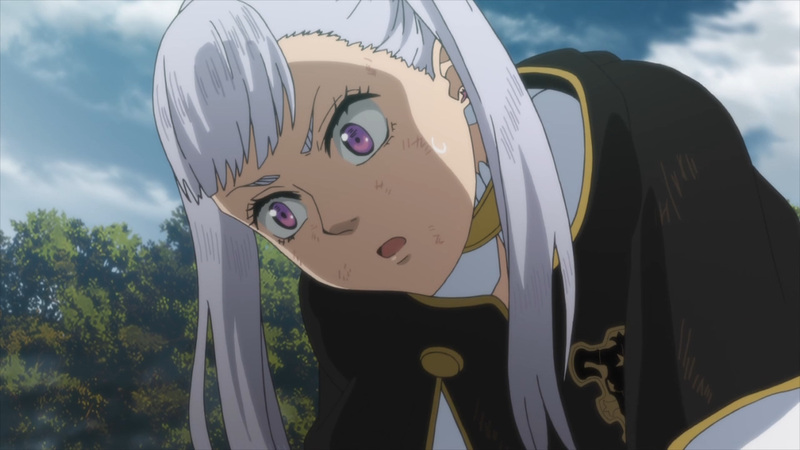 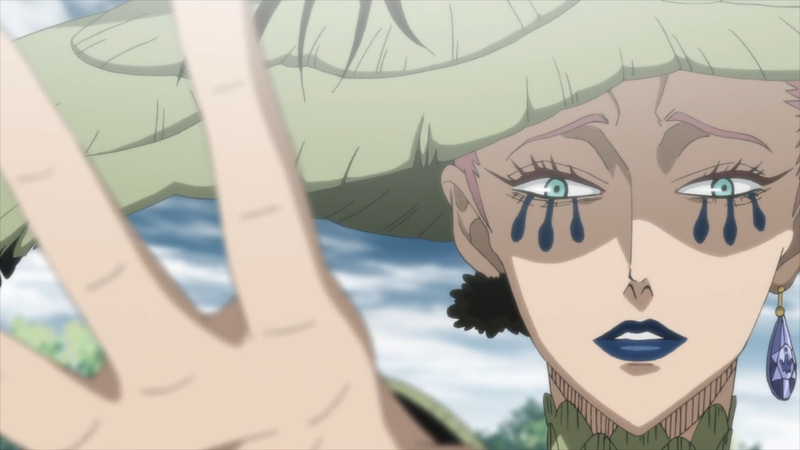 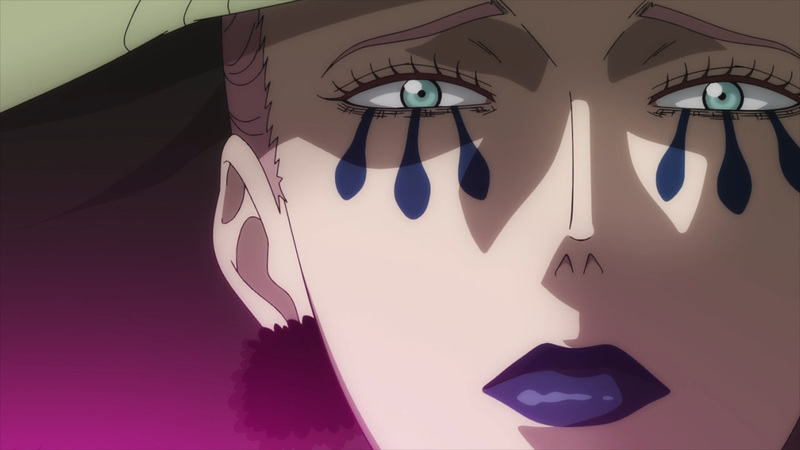 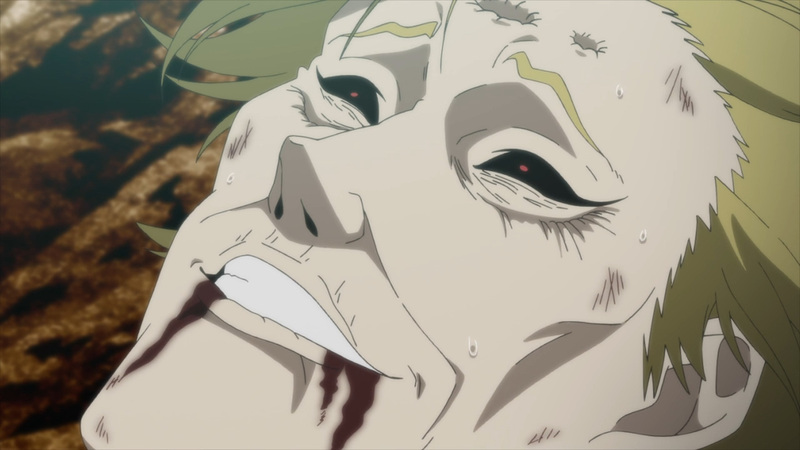 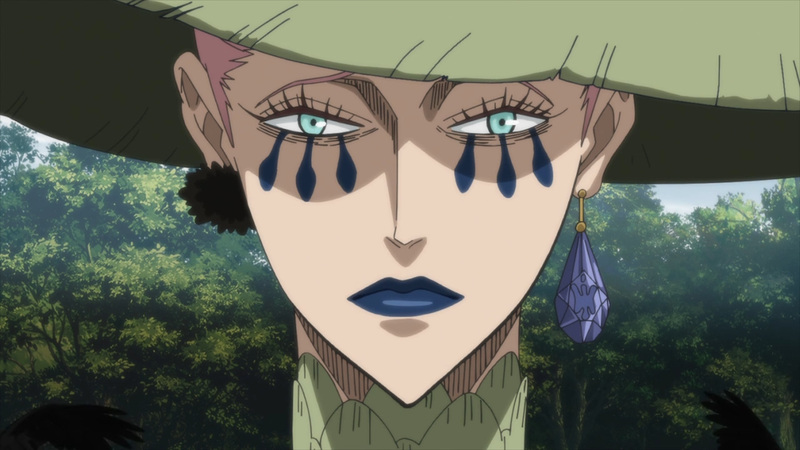 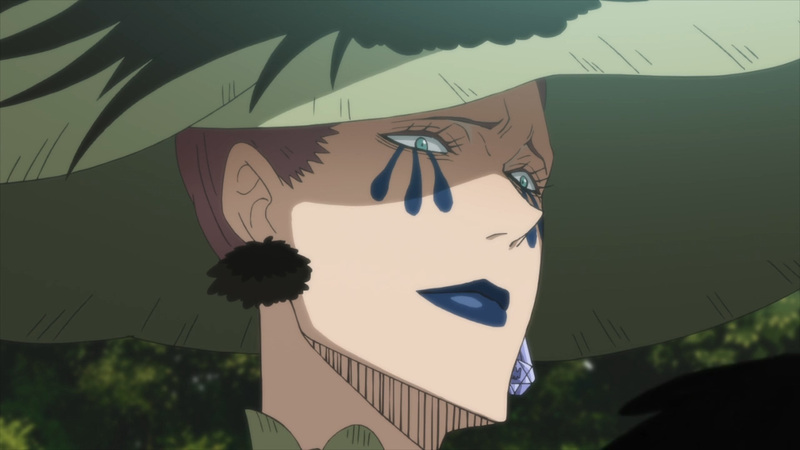 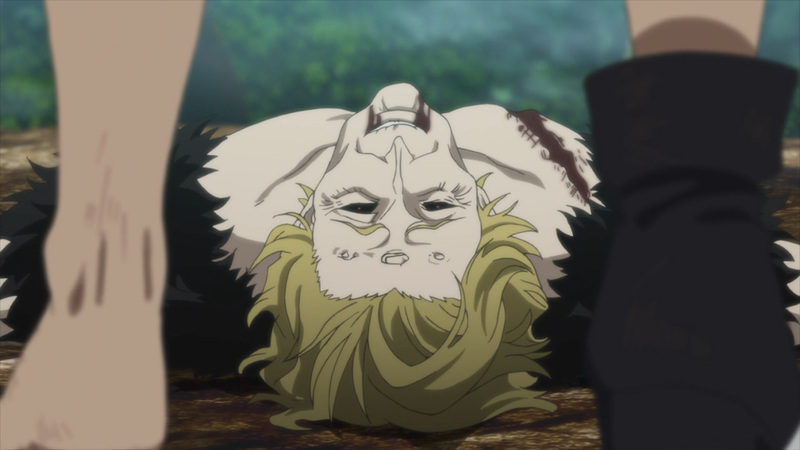 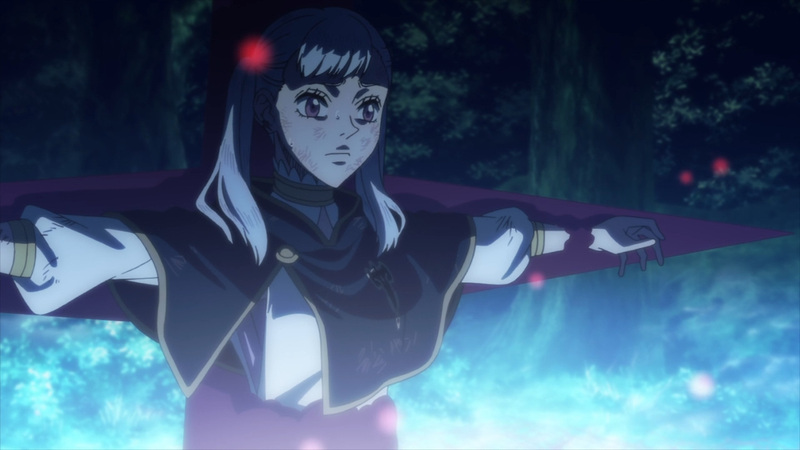 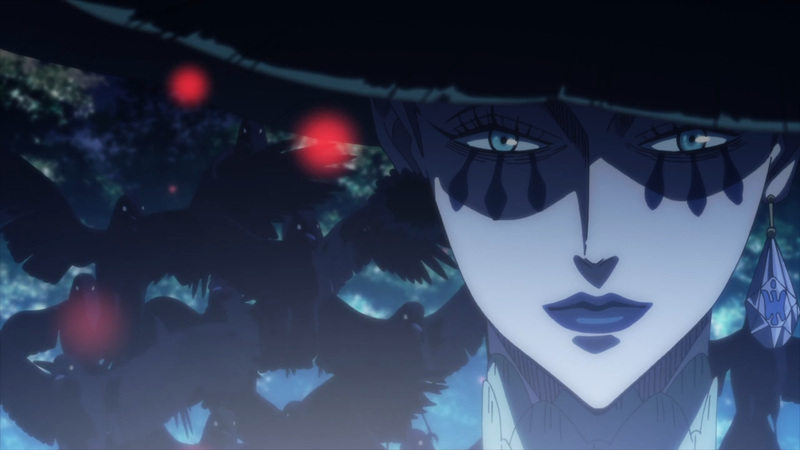 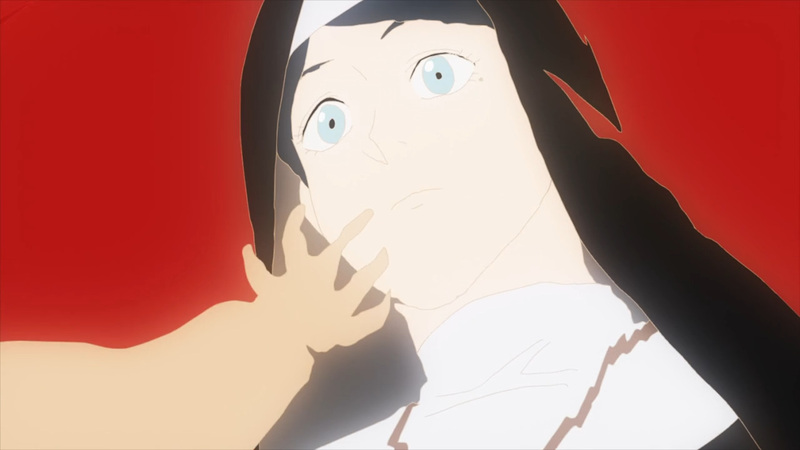 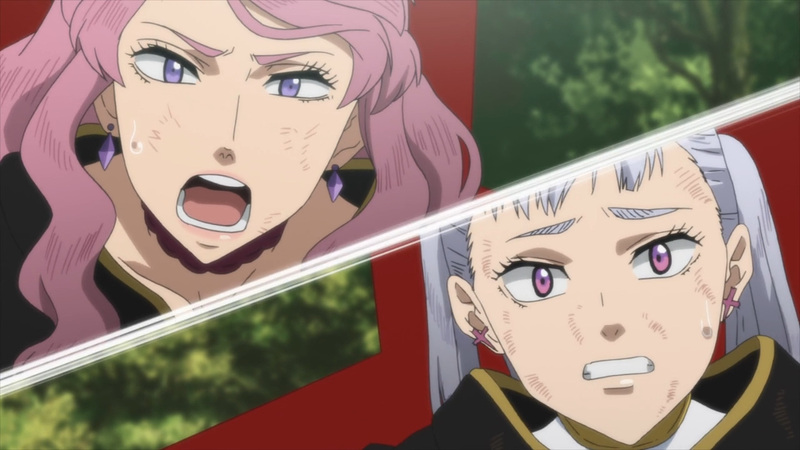 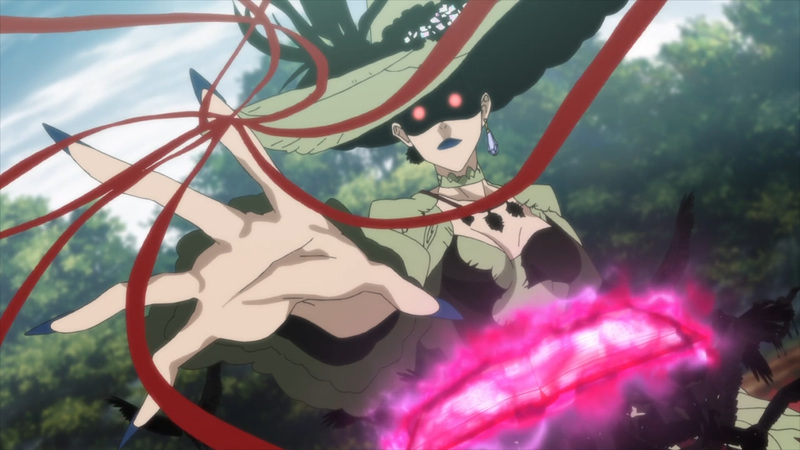 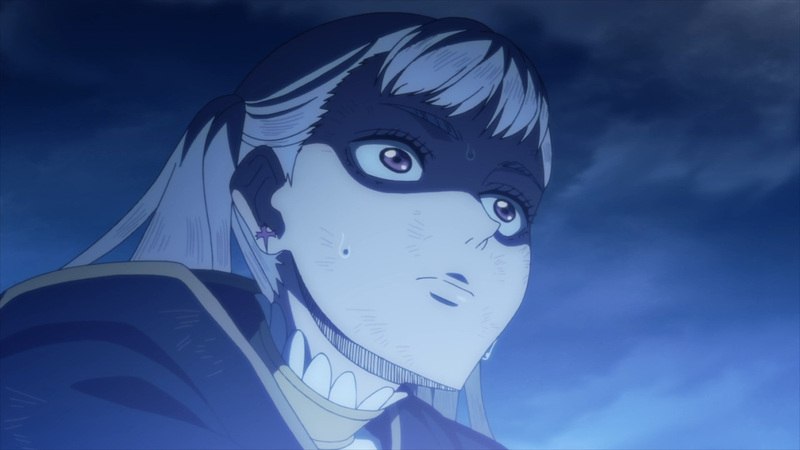 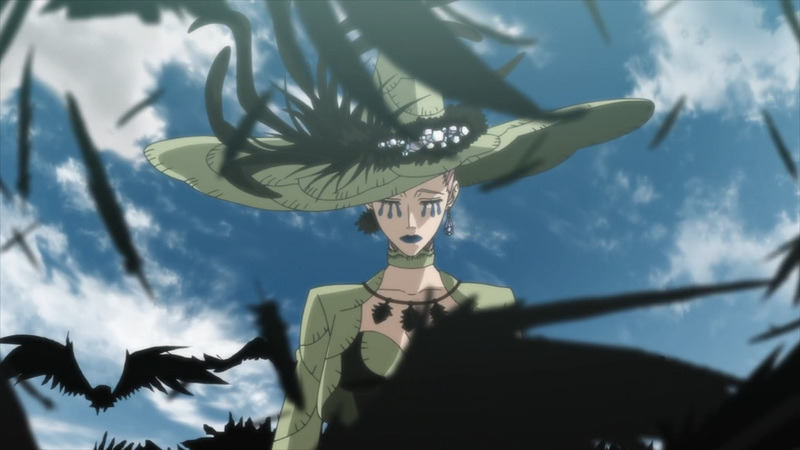 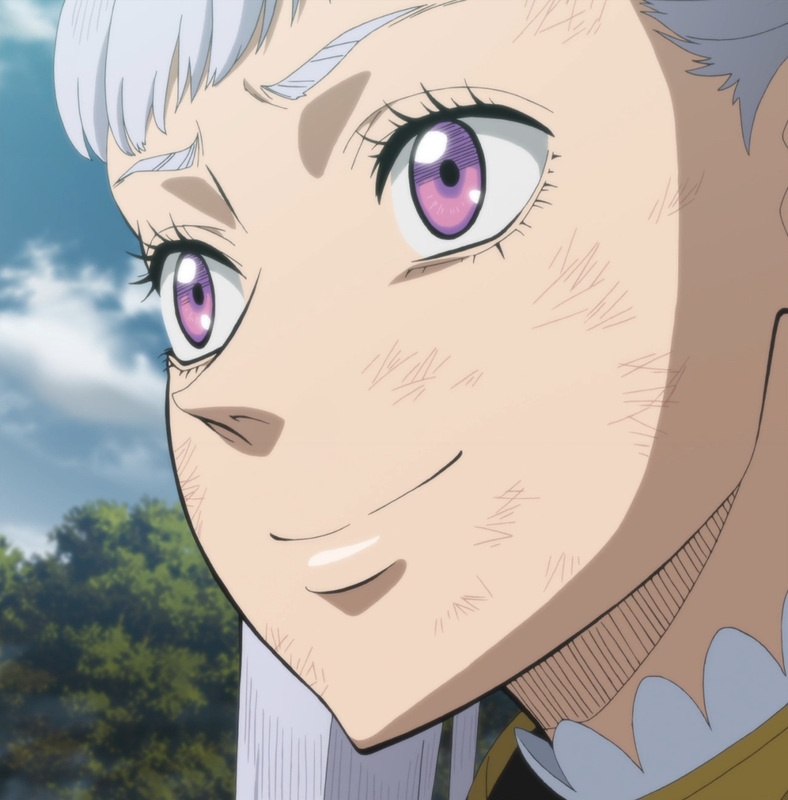 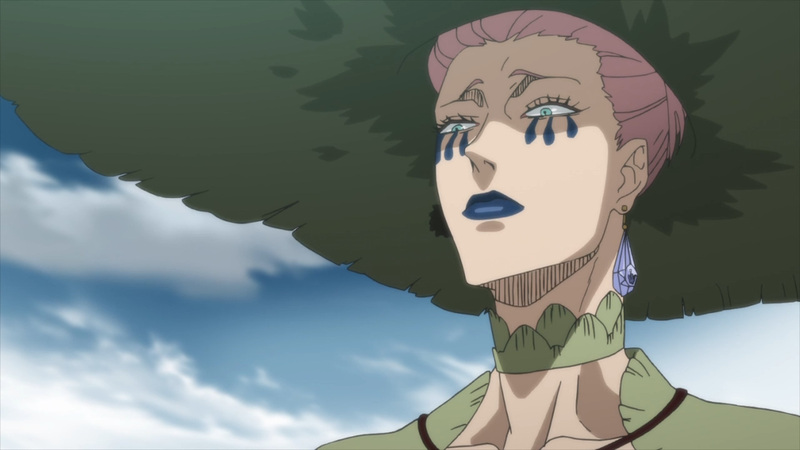 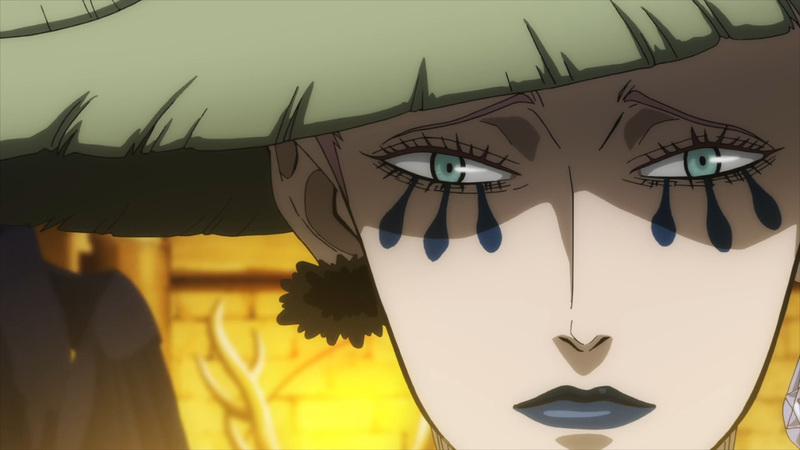 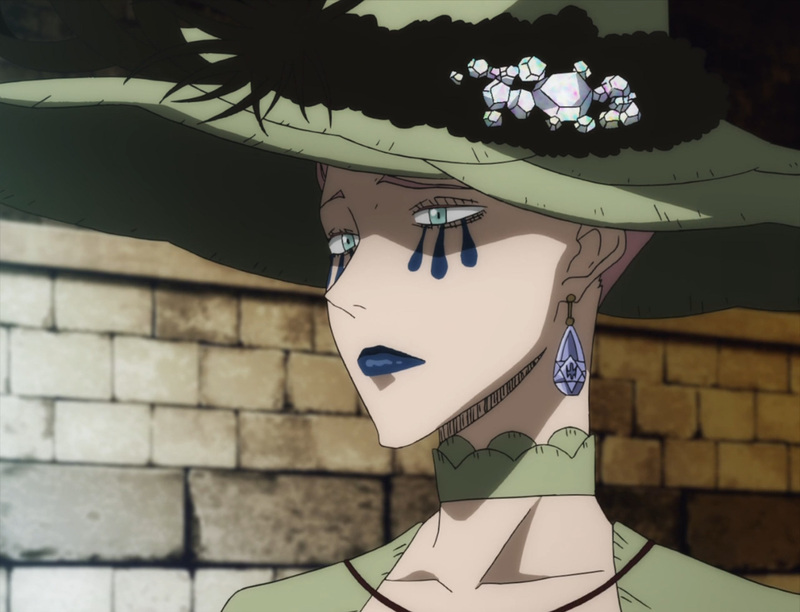 Asta has upheld his bargain with the Queen of Witches. 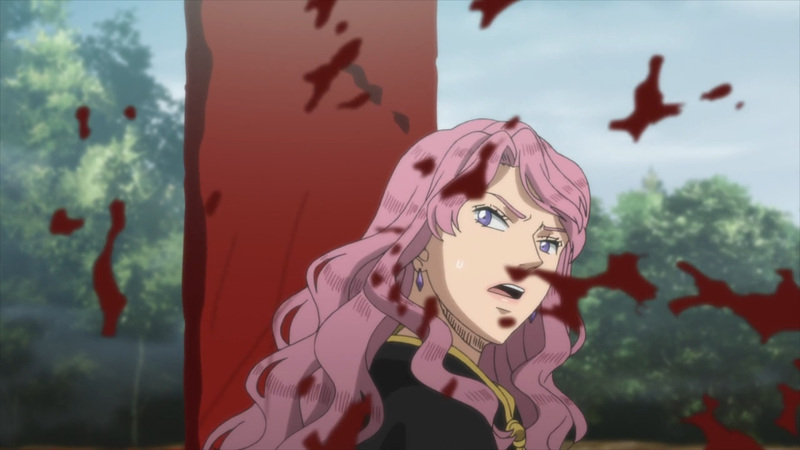 Both enemies have been defeated, but this Queen does not play fair. 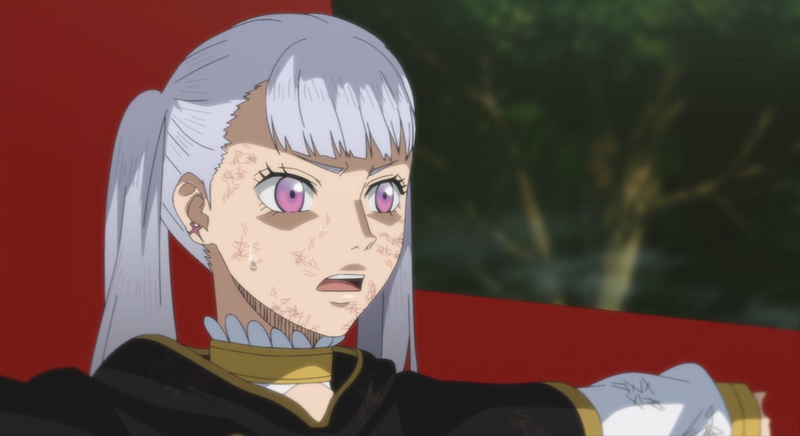 Healing Asta was all apart of adding him to her arsenal. 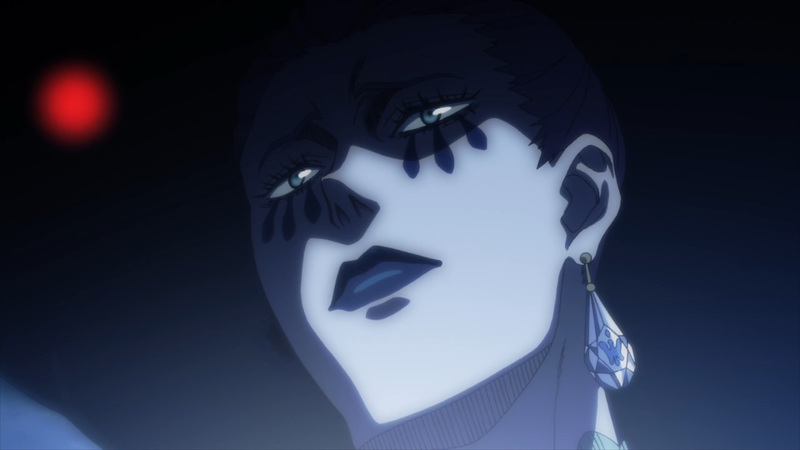 Once the dust had settled our wicked Queen had come to collect. 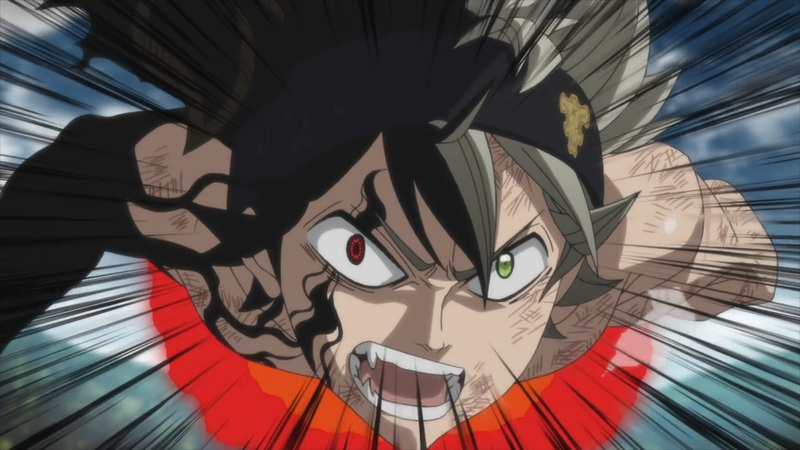 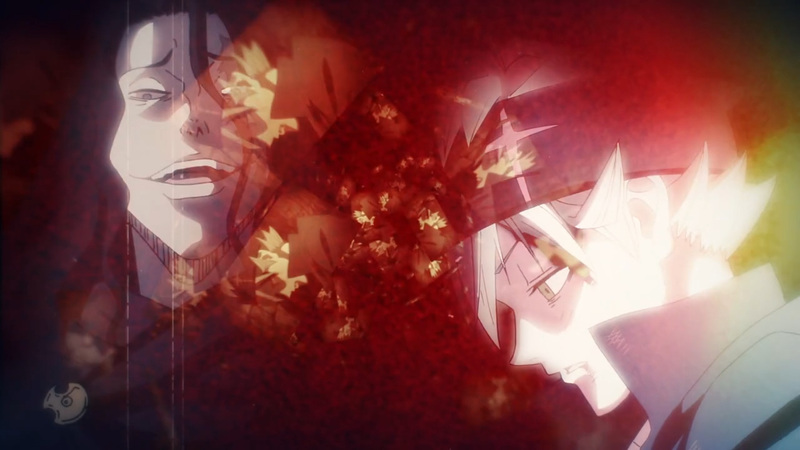 She can not wield the swords, but she can wield Asta threw her blood magic. 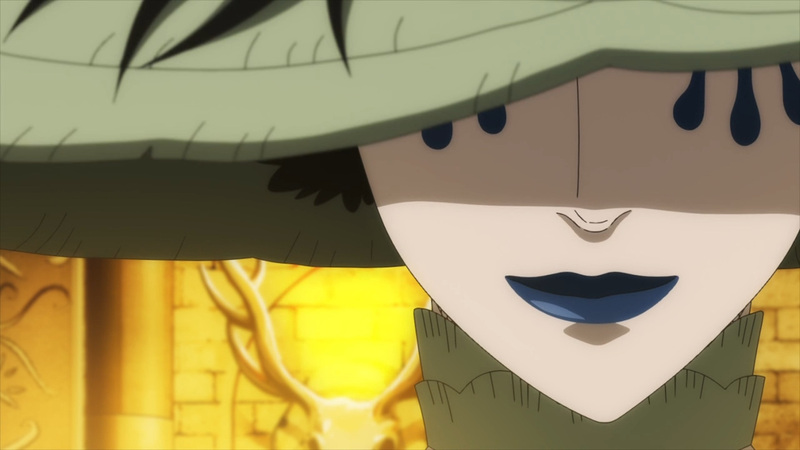 Additionally, she has taken everyone hostage. 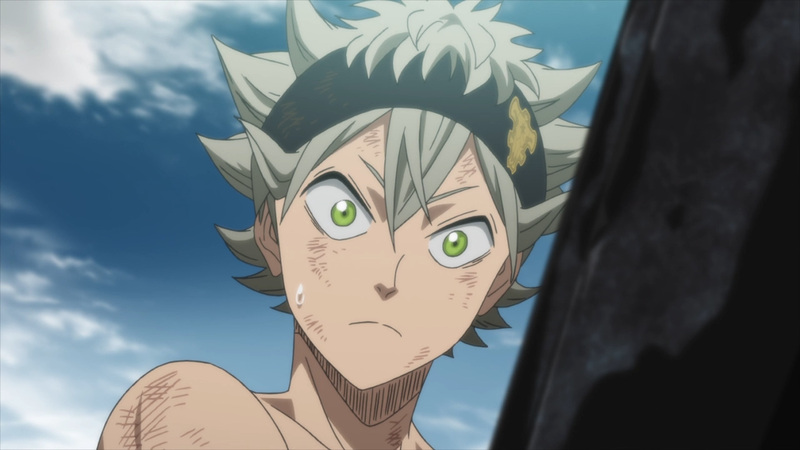 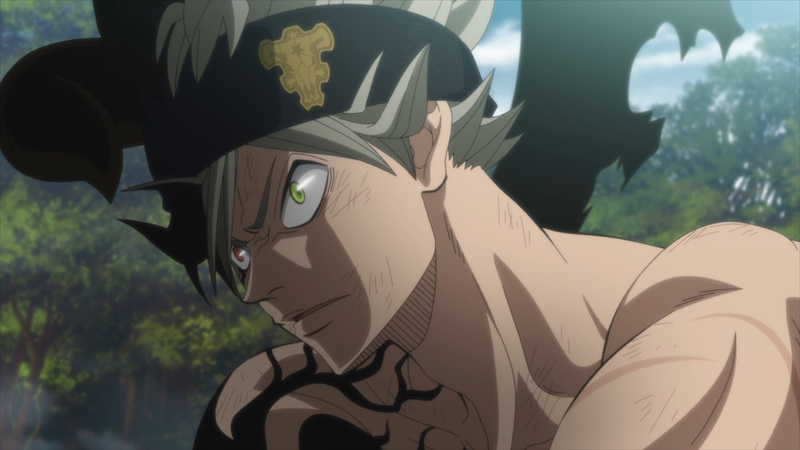 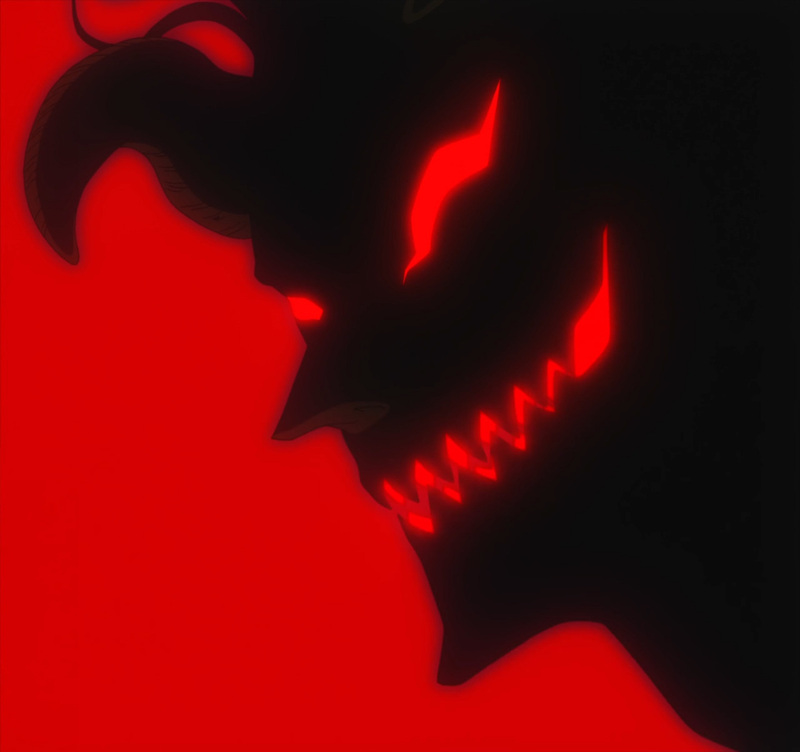 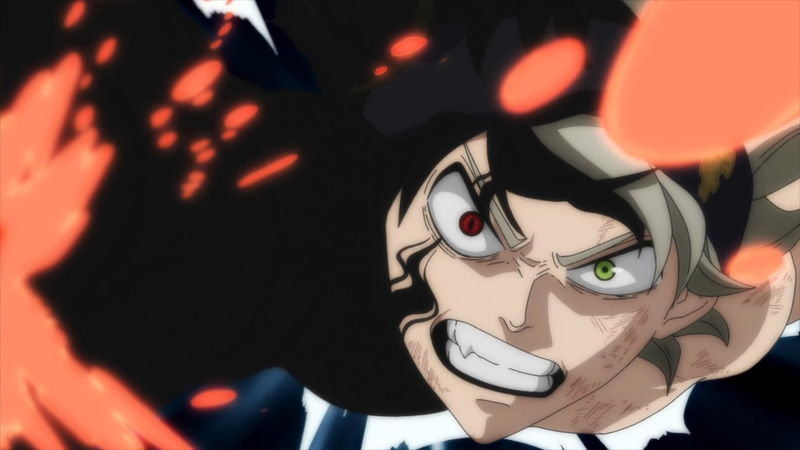 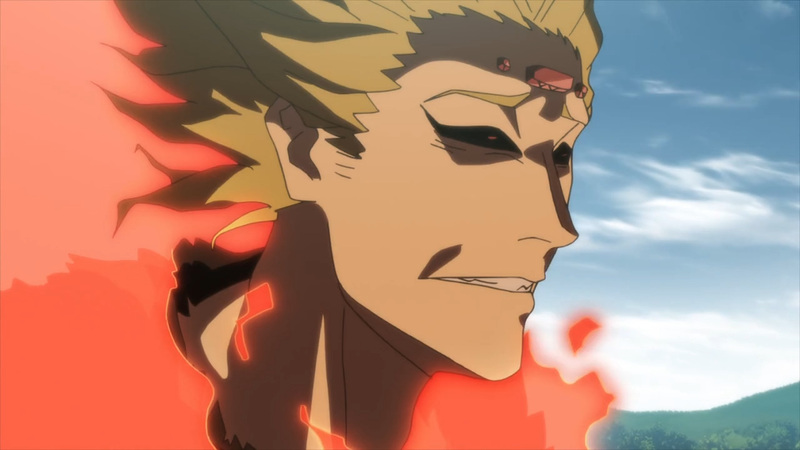 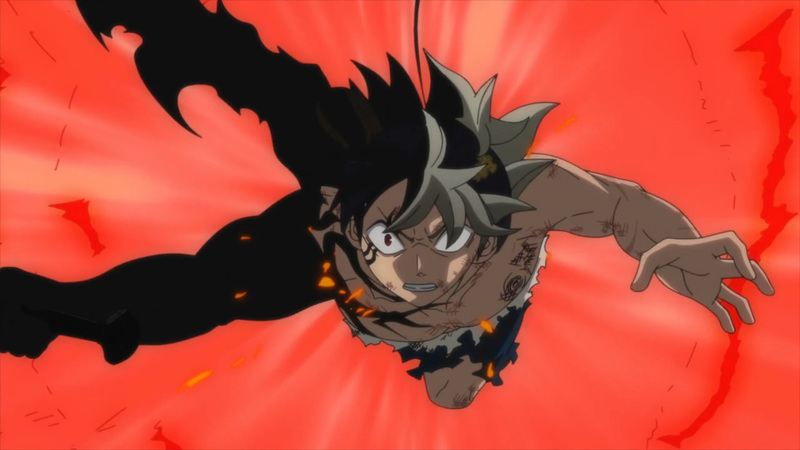 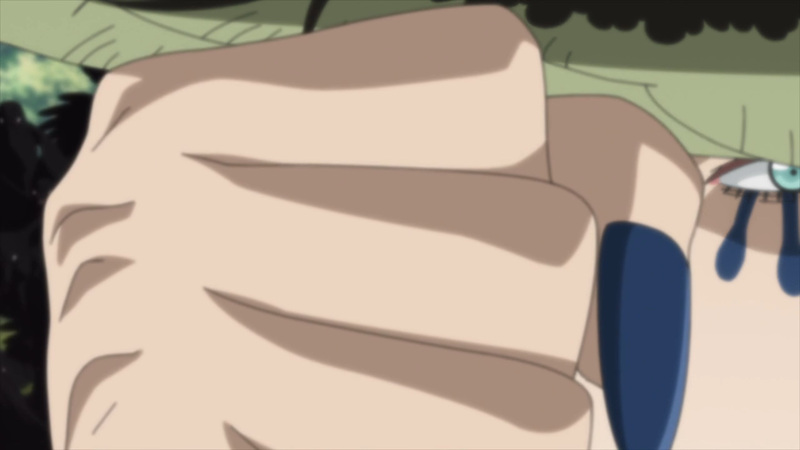 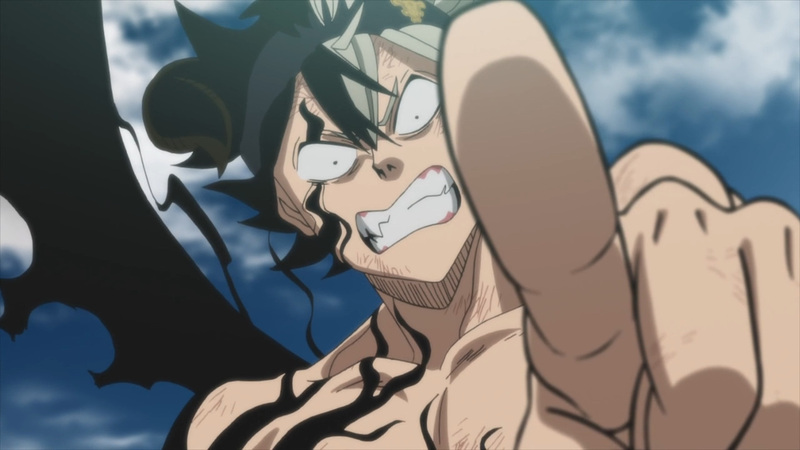 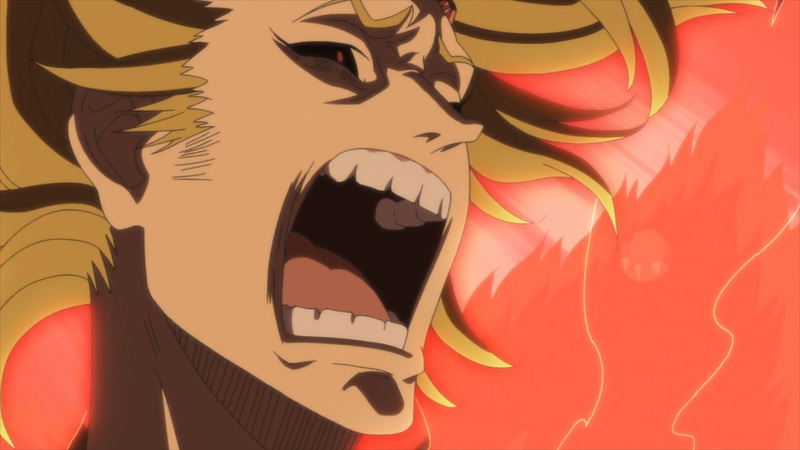 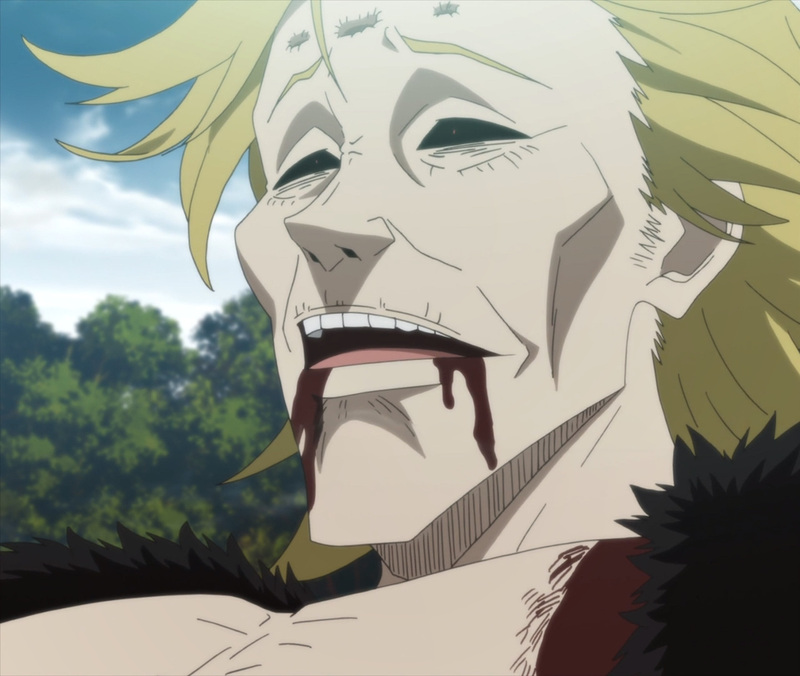 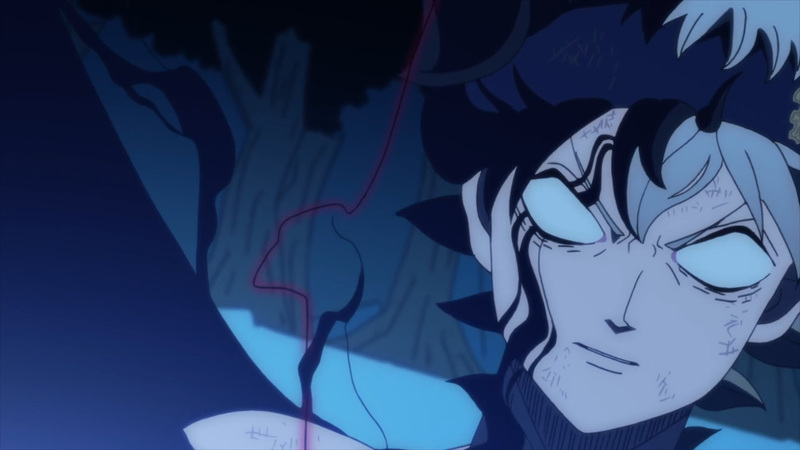 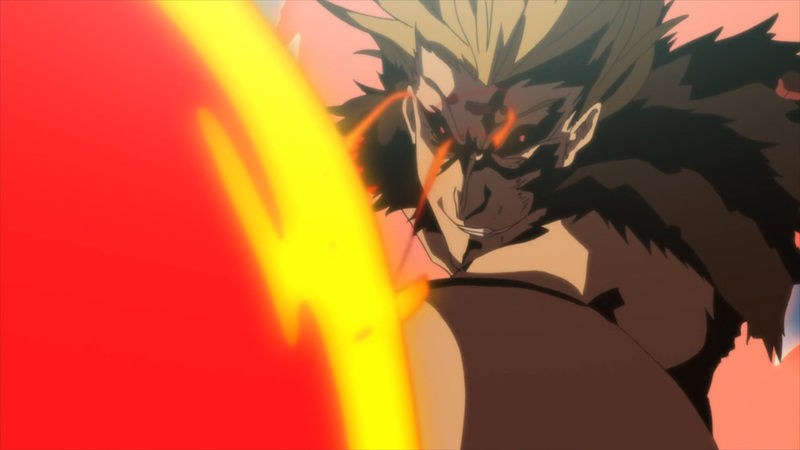 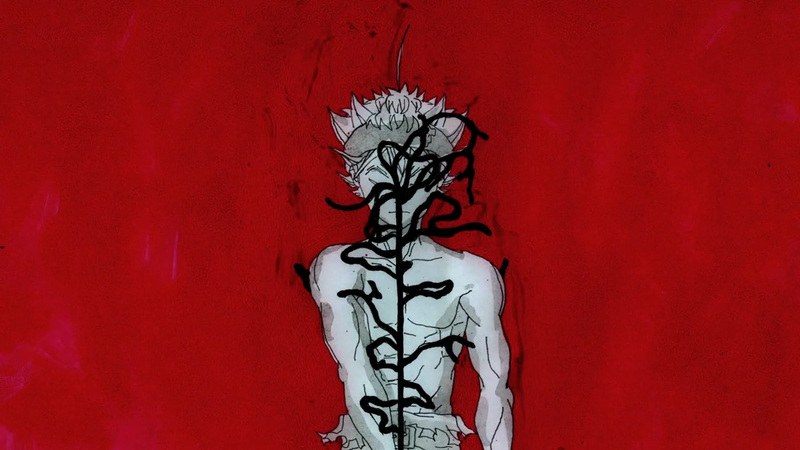 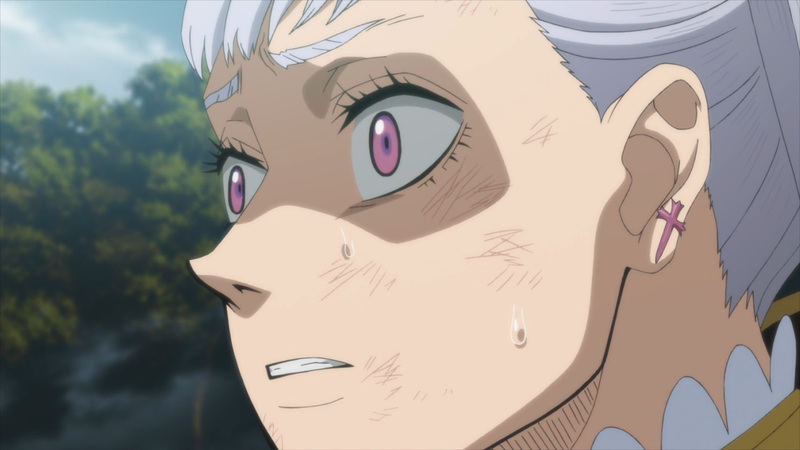 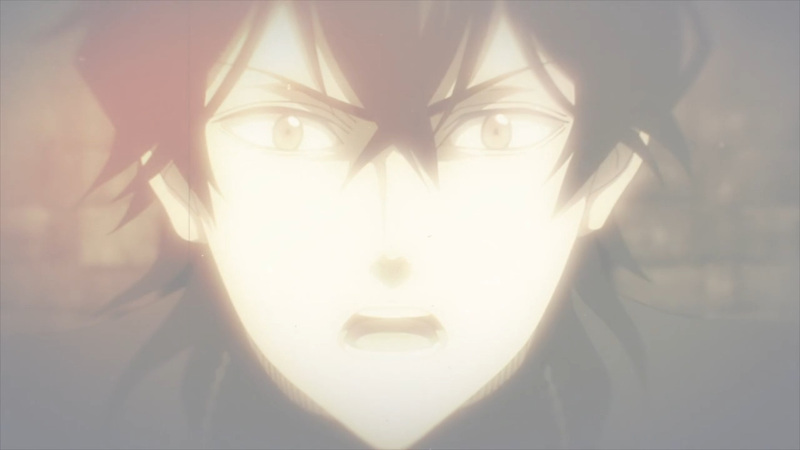 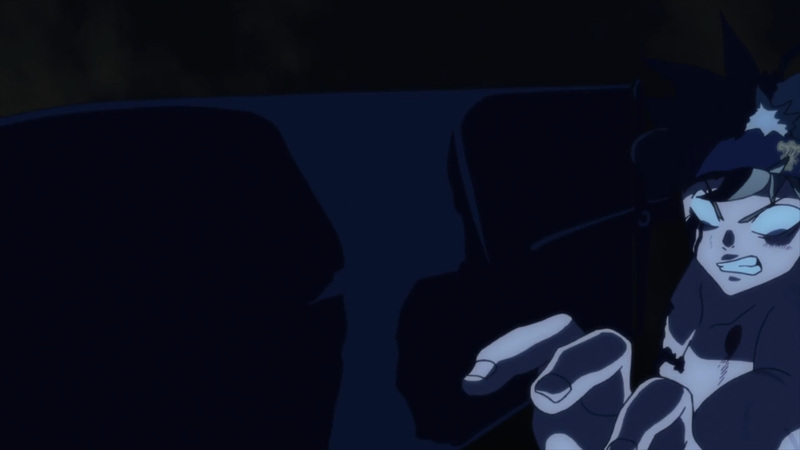 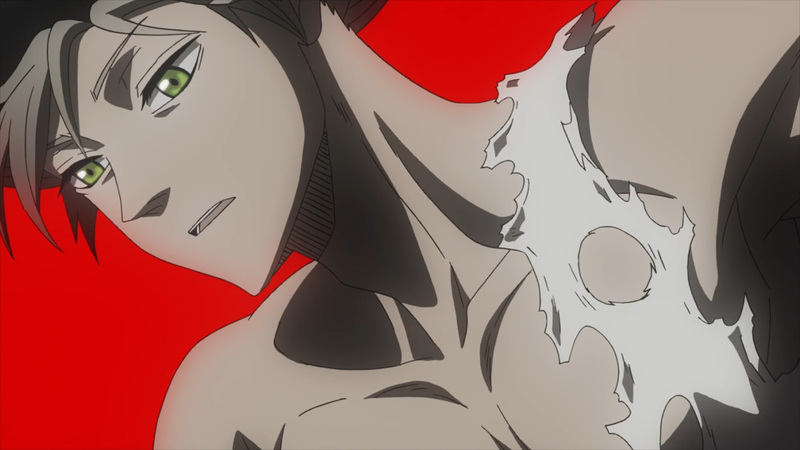 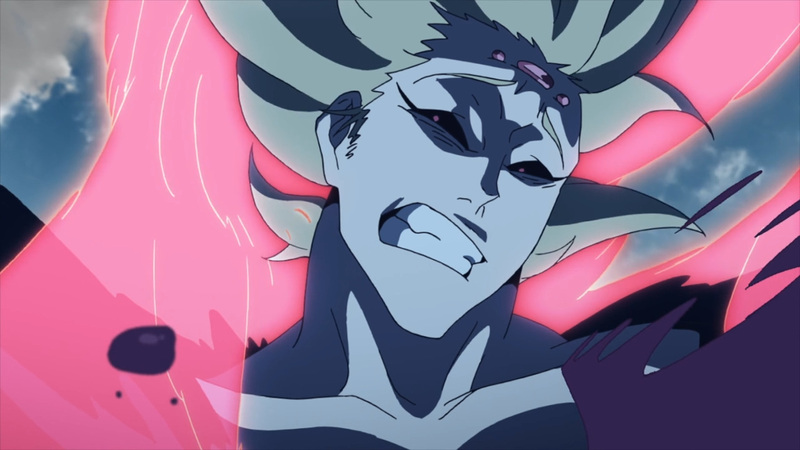 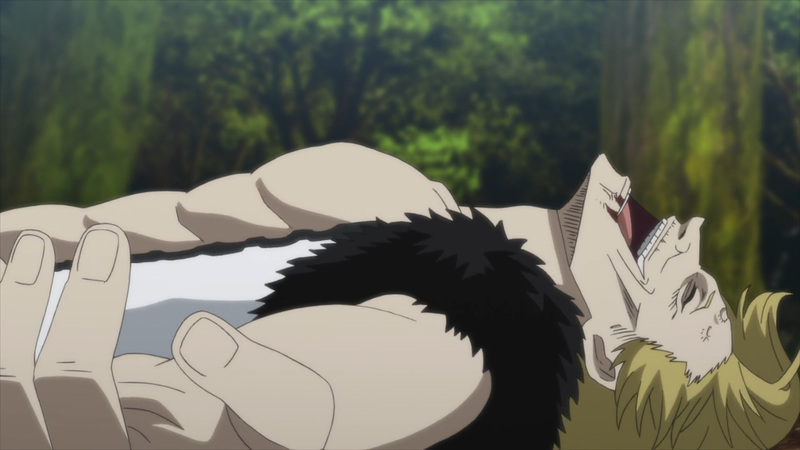 Asta’s body is no longer his own, and his new found power will be directed upon his friends. 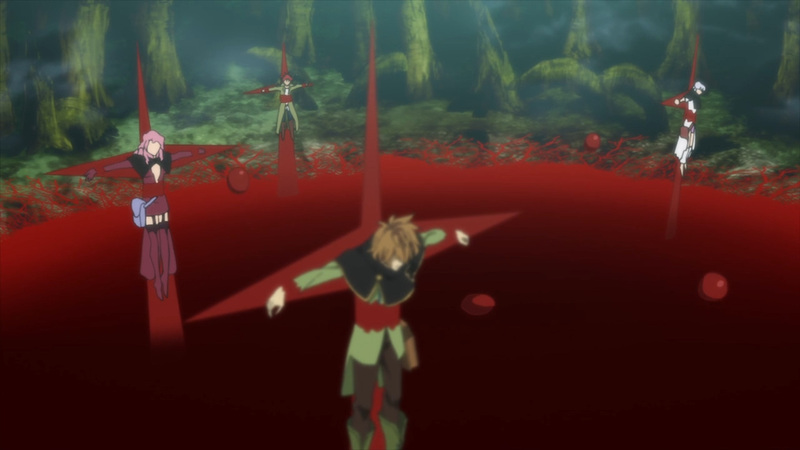 There’s no escaping this blood magic, although maybe fate can be changed? 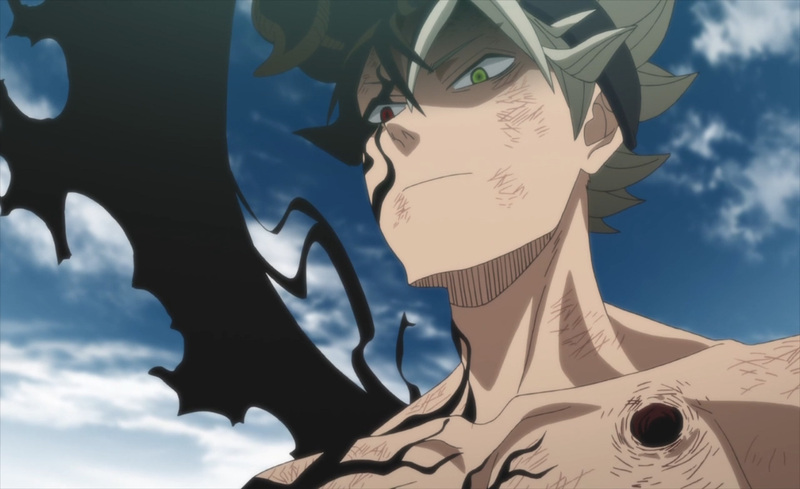 We’re in for one more clash before we wrap up this arc. 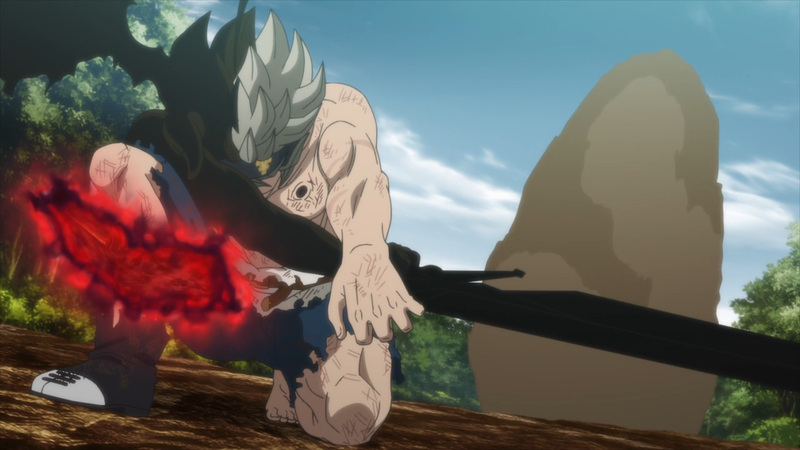 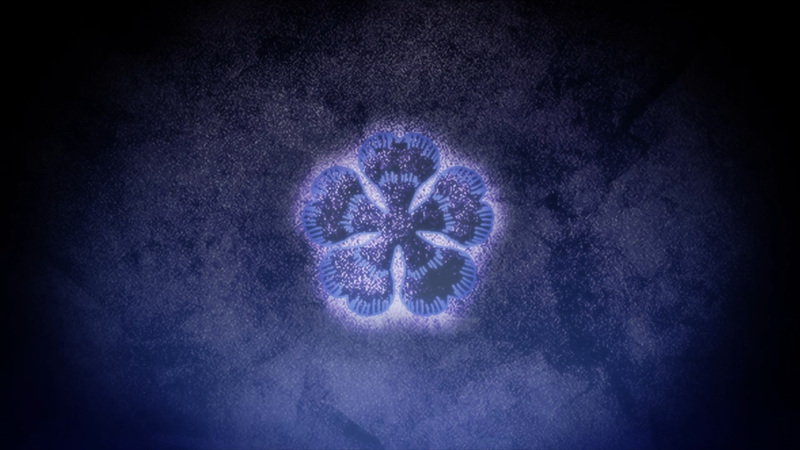 There’s a few major things one should take away from today’s episode. 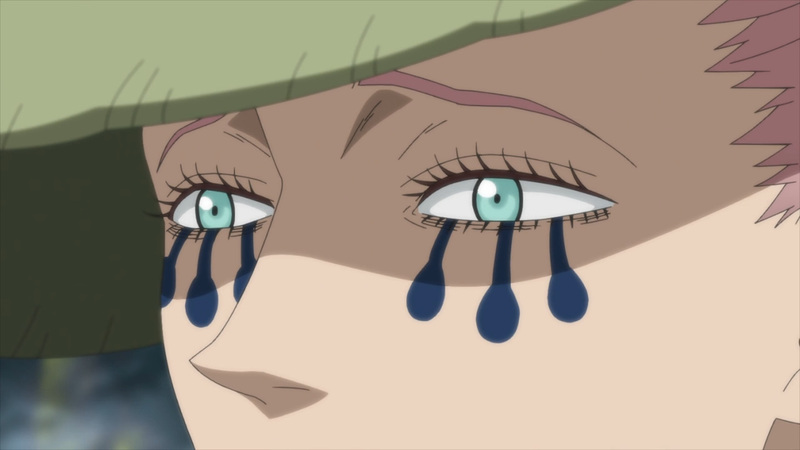 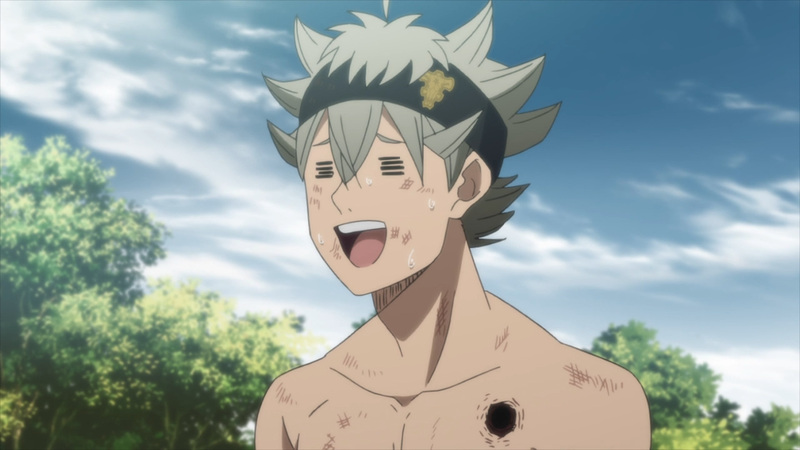 First, we learned that Asta is nothing special. 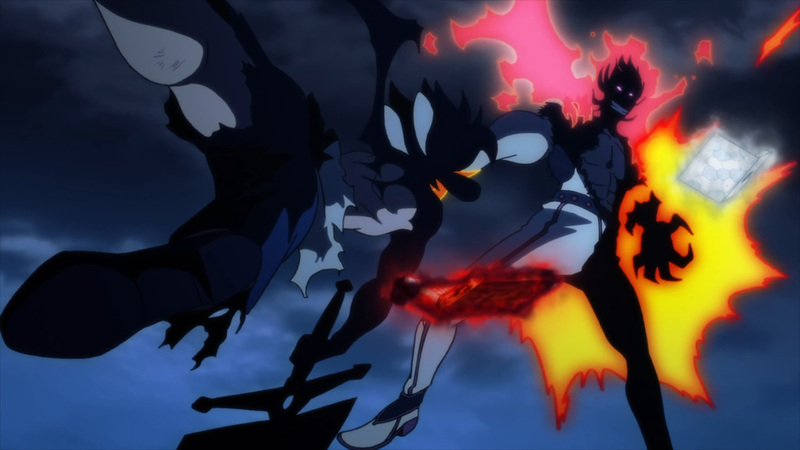 His ability to wield the anti-magic swords is all due to a mutation. 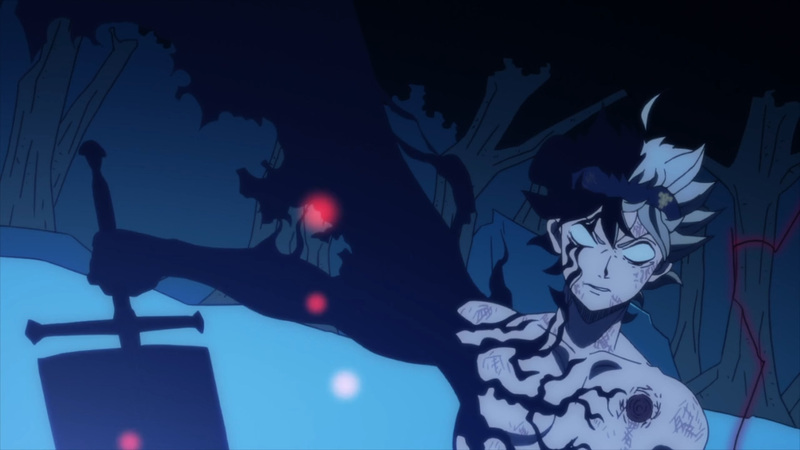 He’s just an ordinary human in this world of magical beings. 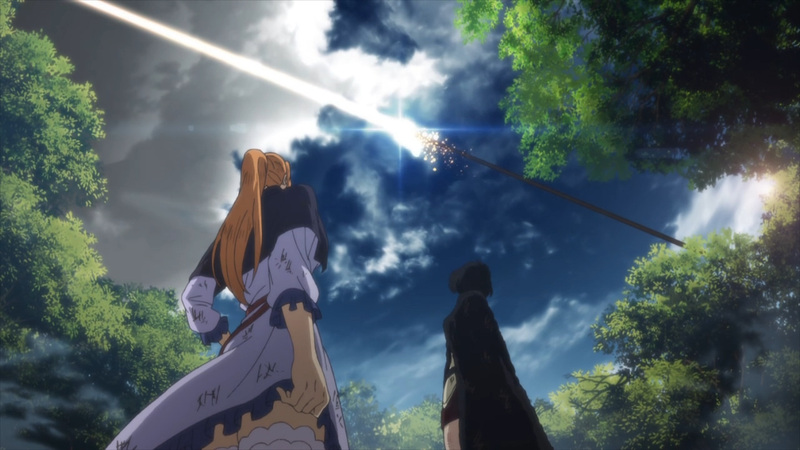 Nevertheless, not being blessed with magic makes him truly special. 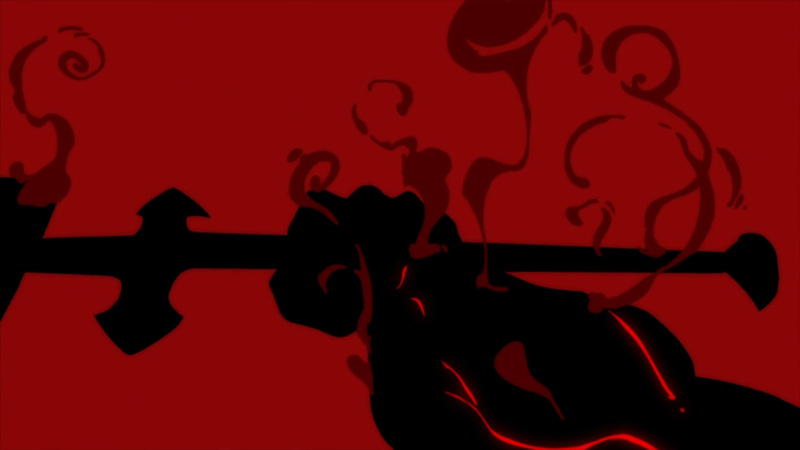 Those with magic could never hope to pick up his swords, or wield the power that flows threw him. 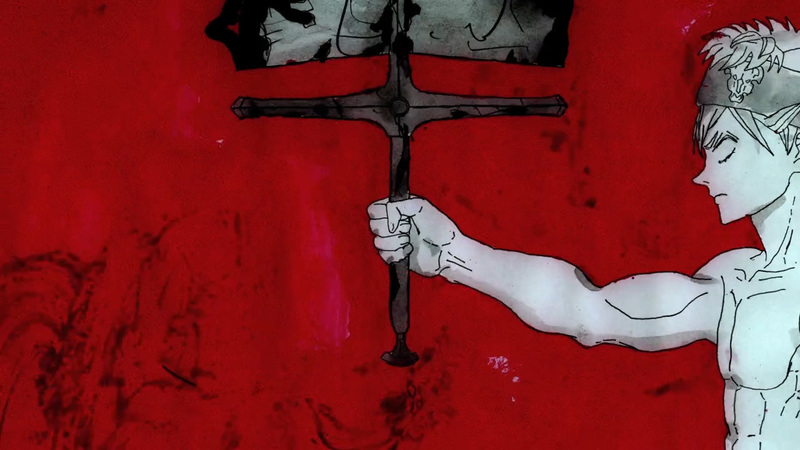 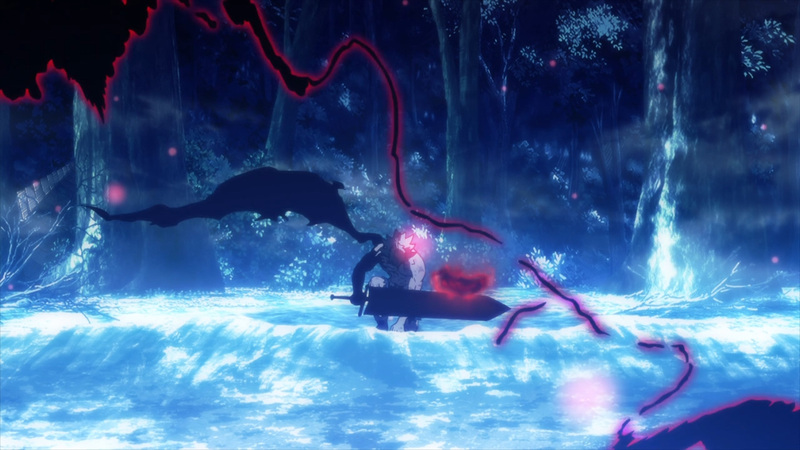 A demon’s power may dwell within those swords, but they are only his to command. 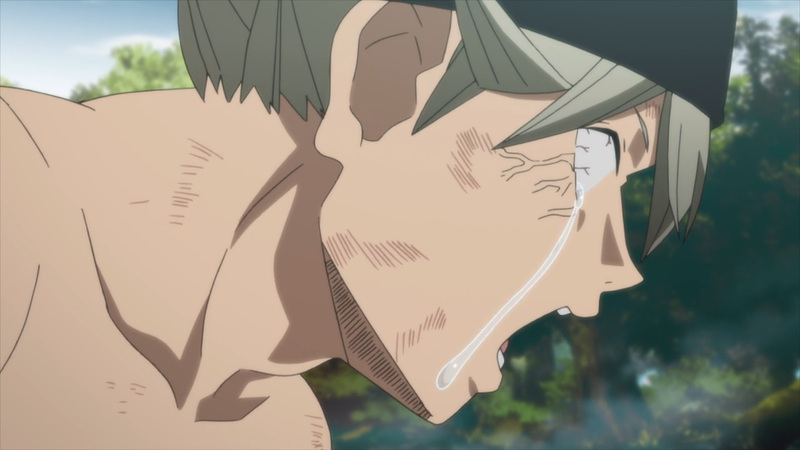 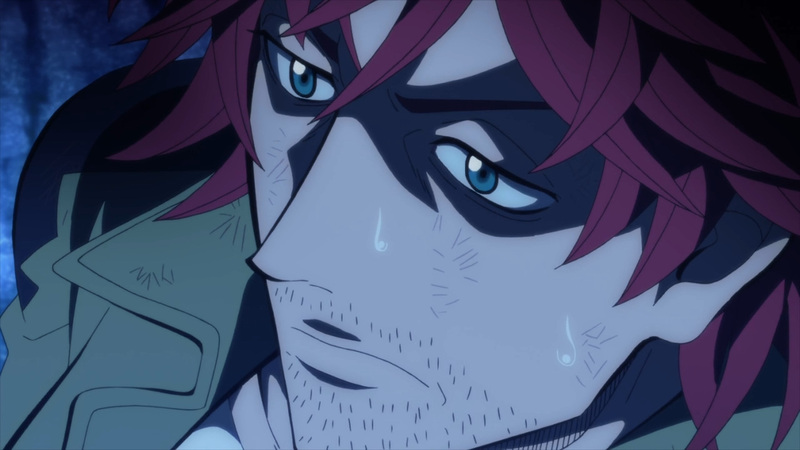 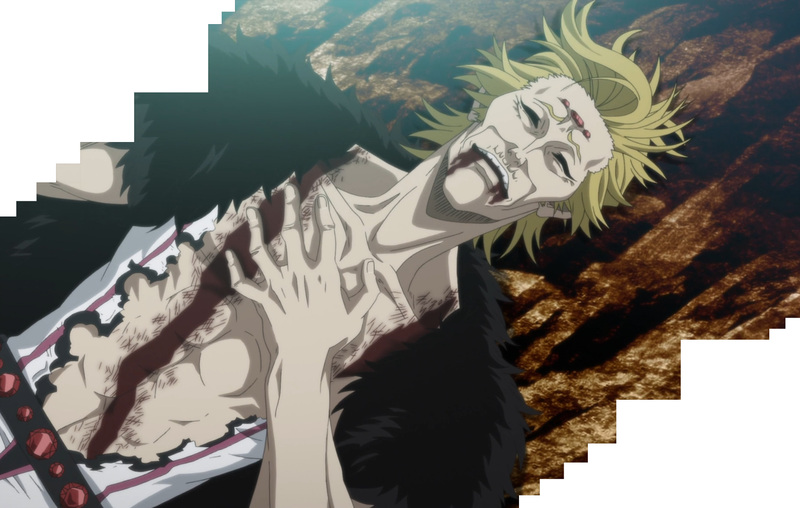 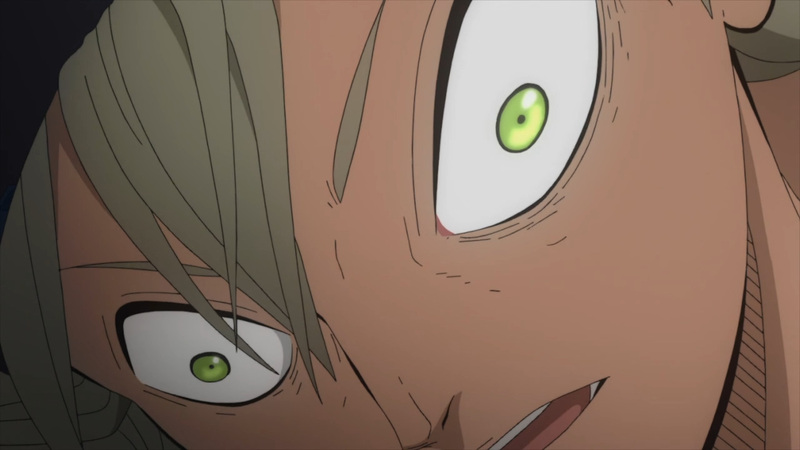 Moreover, this episode is one that will not be forgotten here. 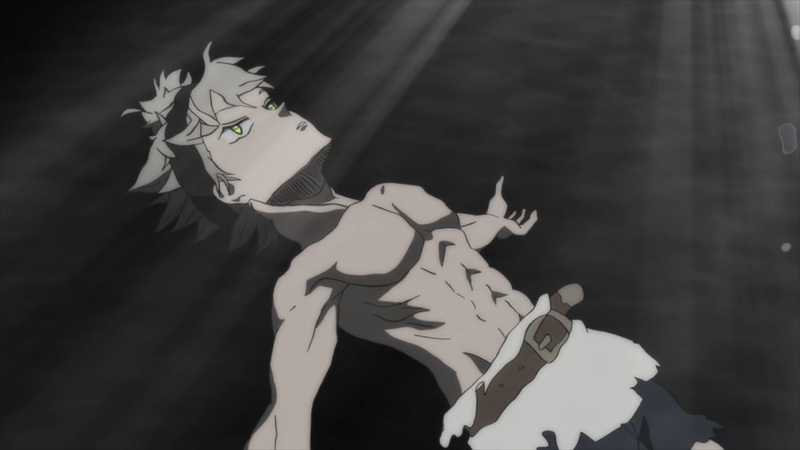 We’ve had many low points during the running of this show. 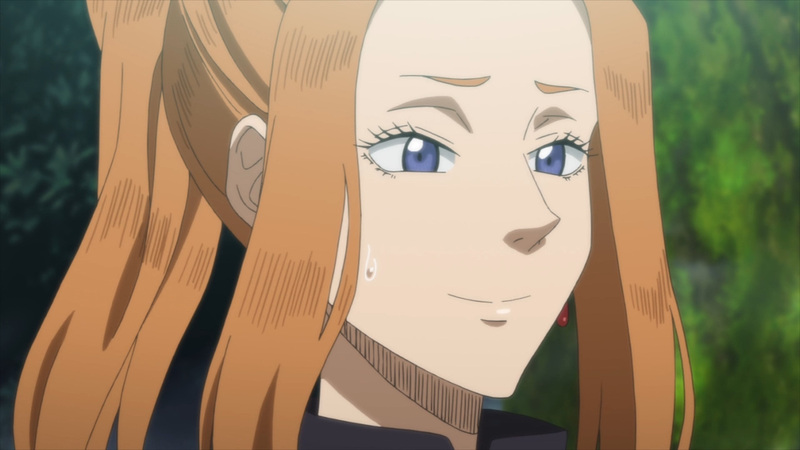 It has been difficult without a doubt, yet we’ve finally hit our high. 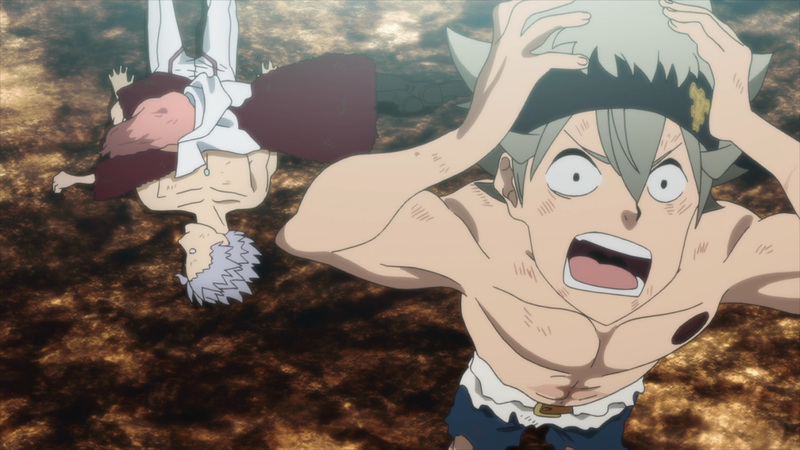 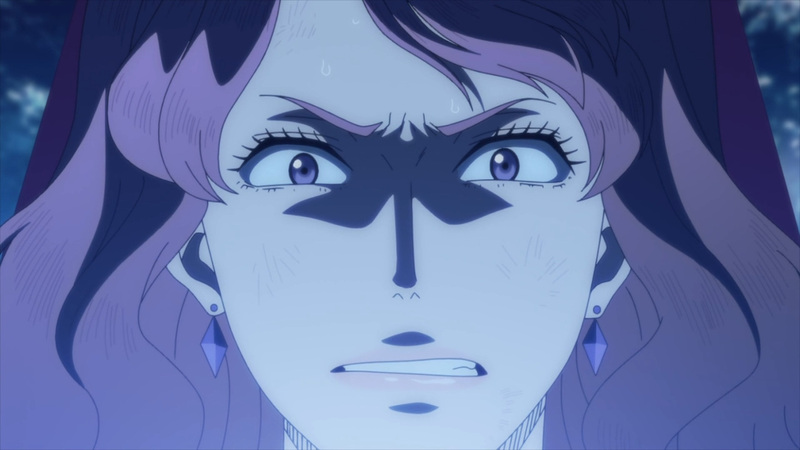 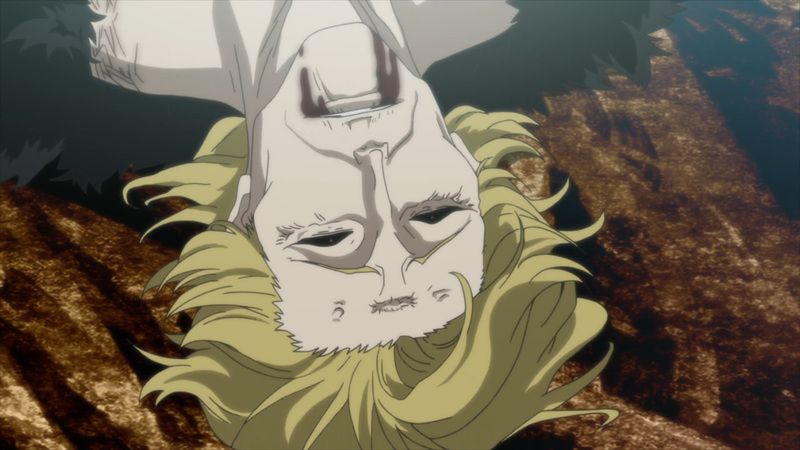 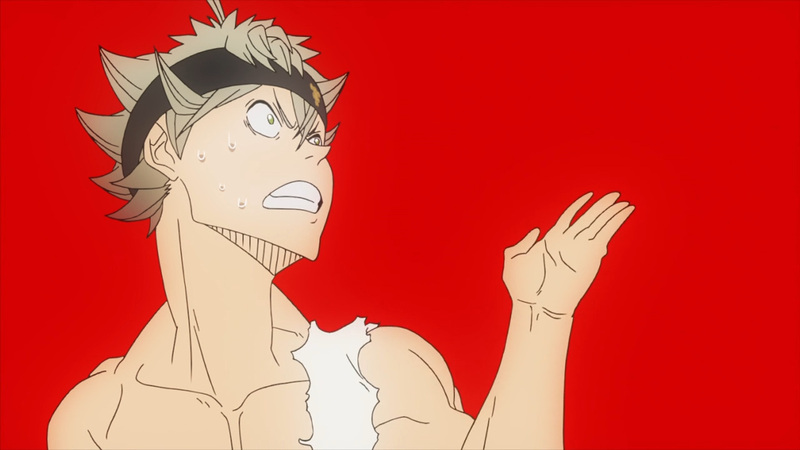 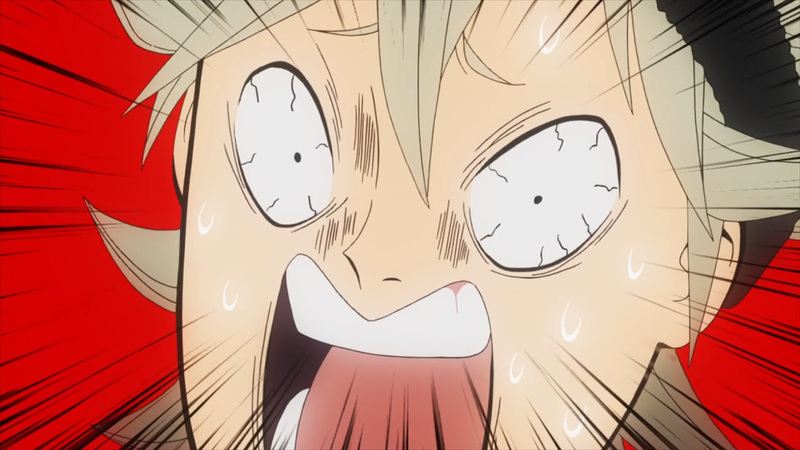 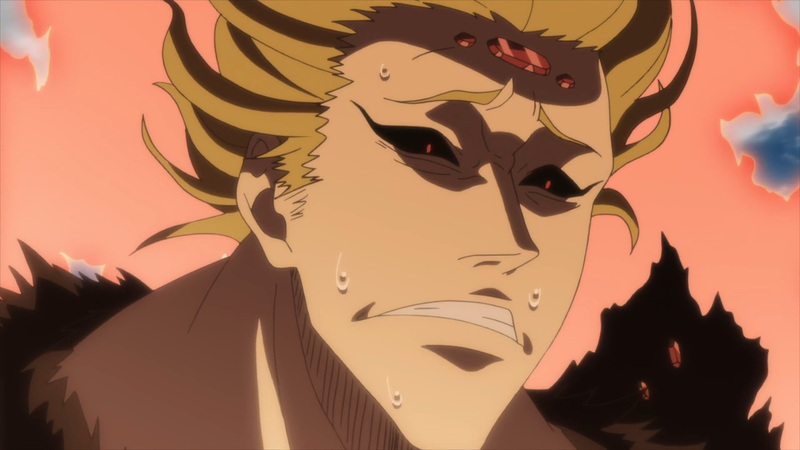 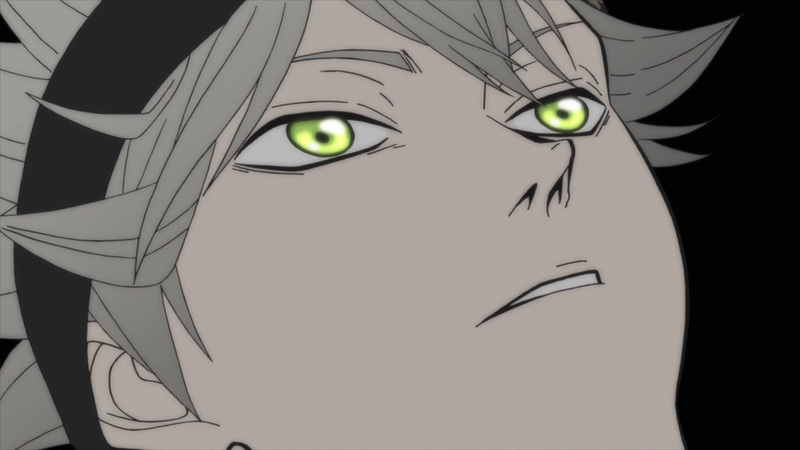 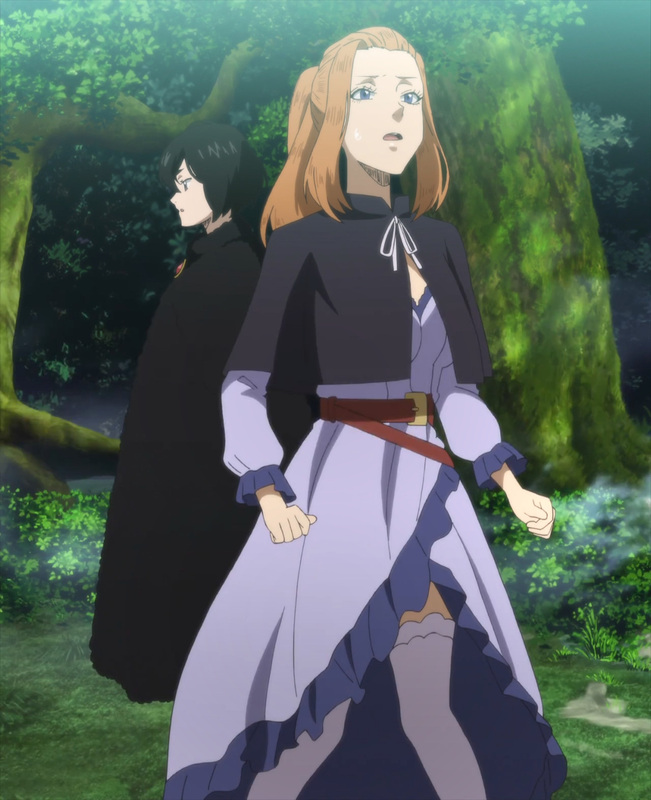 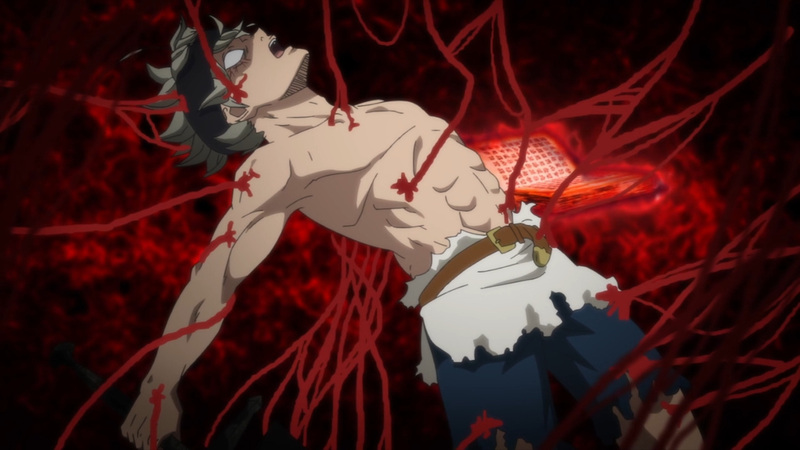 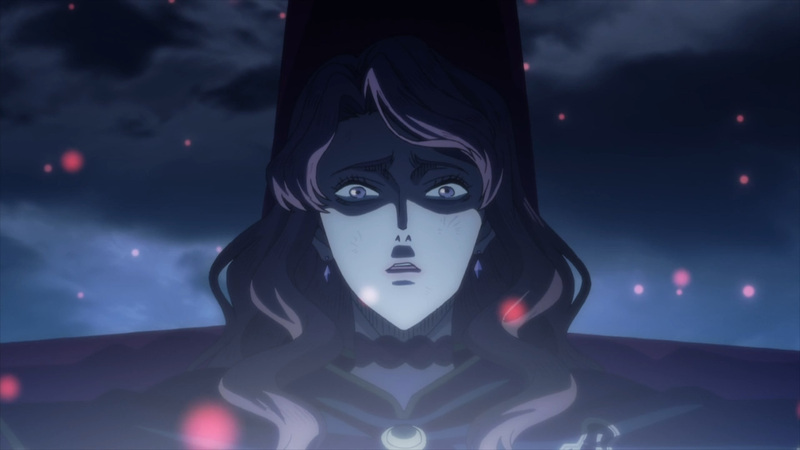 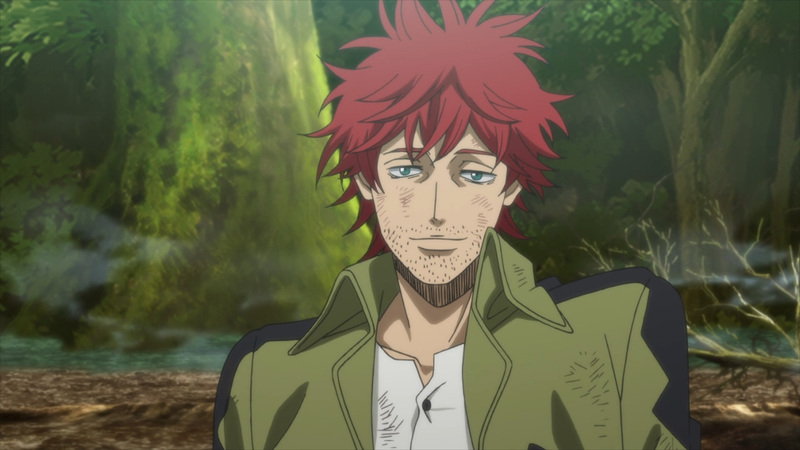 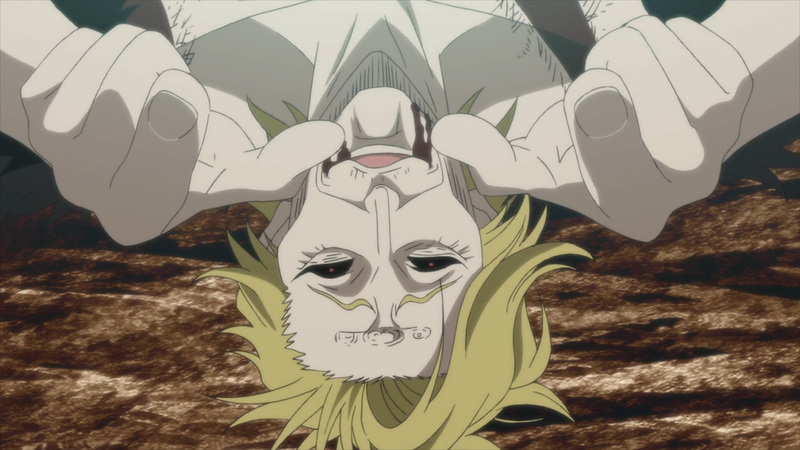 This is the crowning episode of Black Clover. 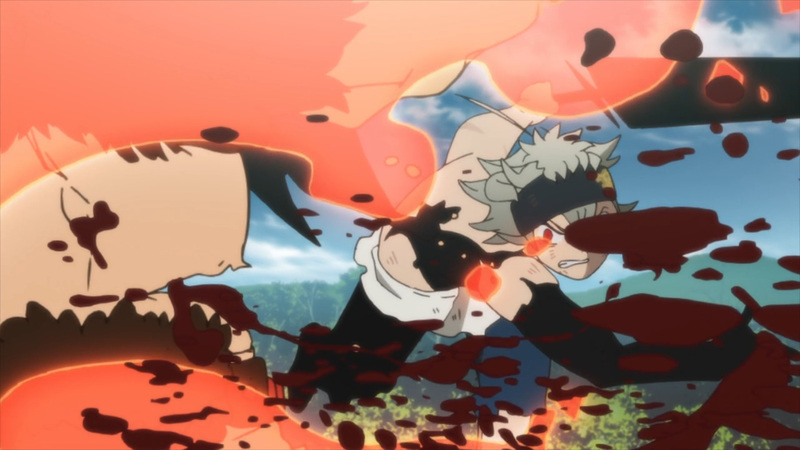 We may not see anything close to this episode for quite some time, so enjoy today’s media to the fullest! 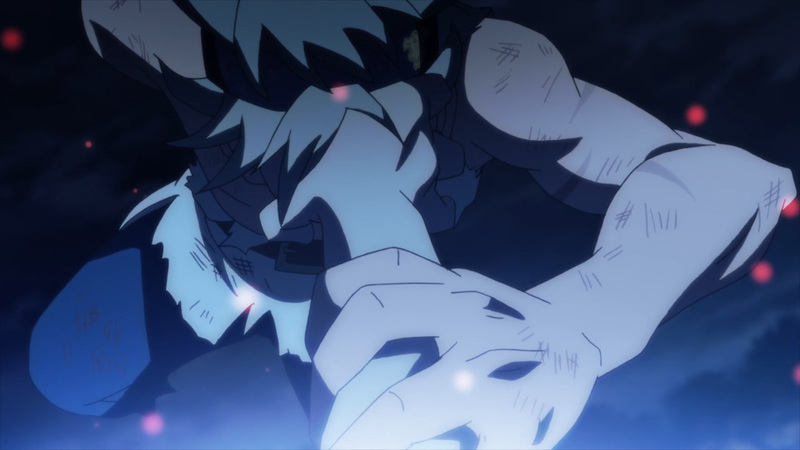 It’s from one conflict to the next. 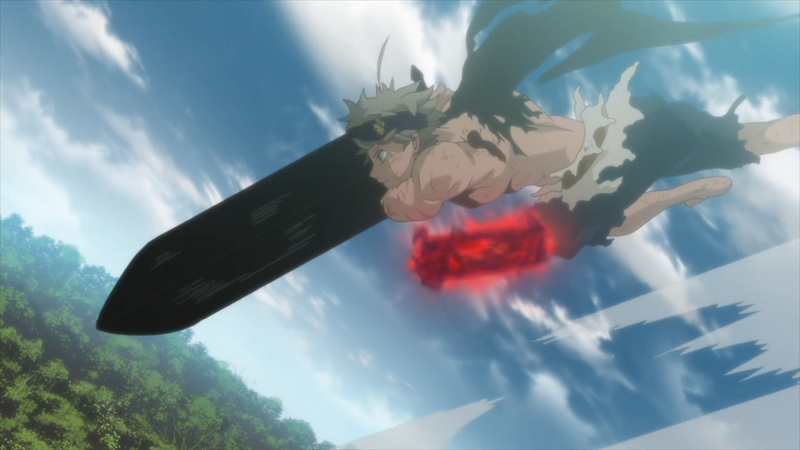 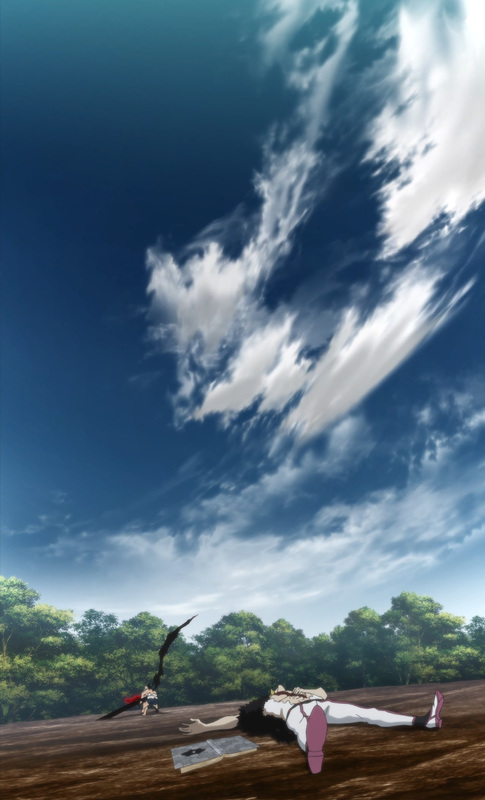 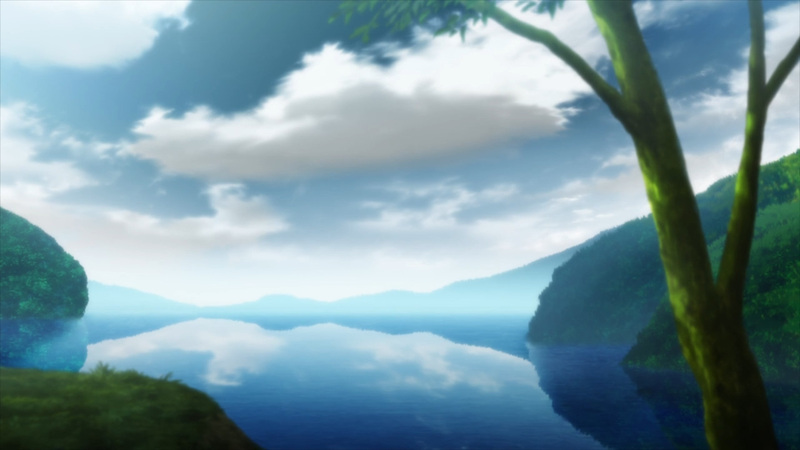 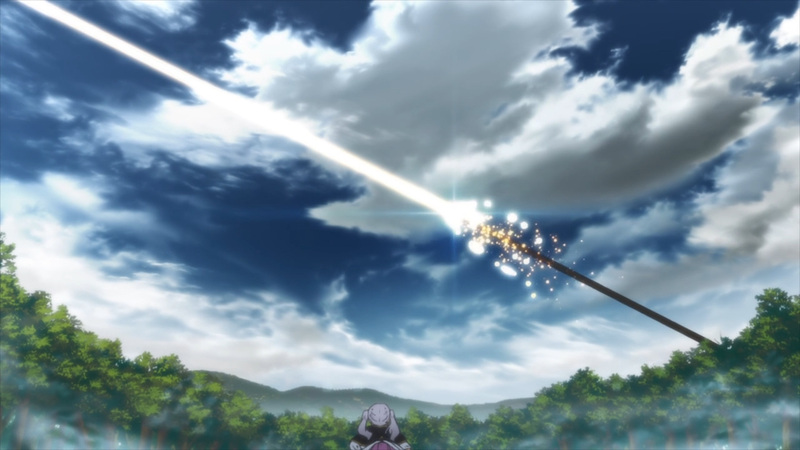 This arc is almost up, though be sure to see fate at work next time here at, Anime Solution.